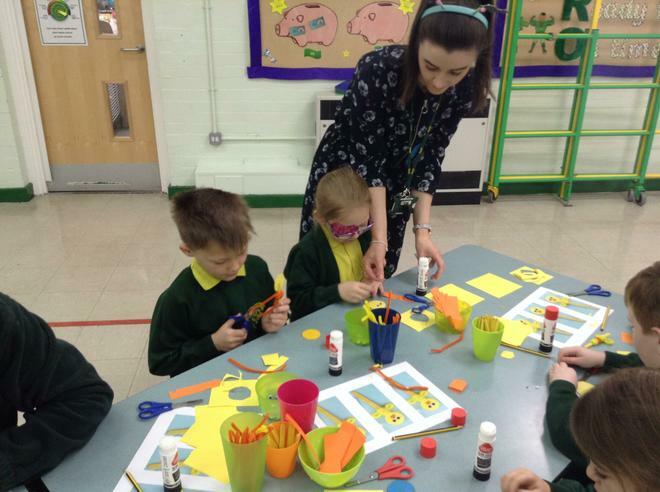 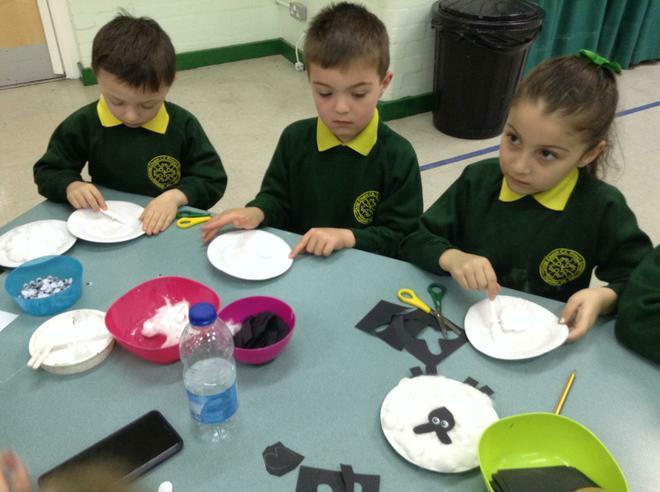 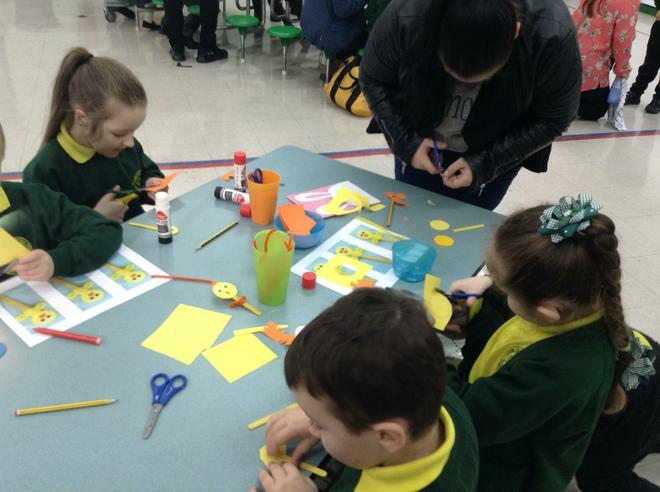 1M had lots of fun during our Easter crafts this week. 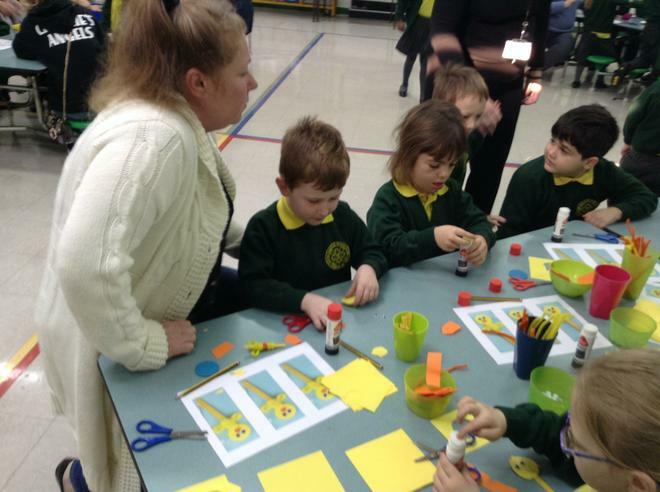 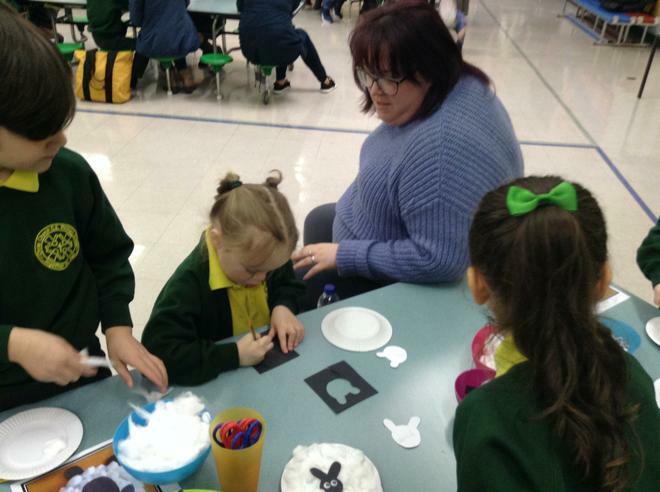 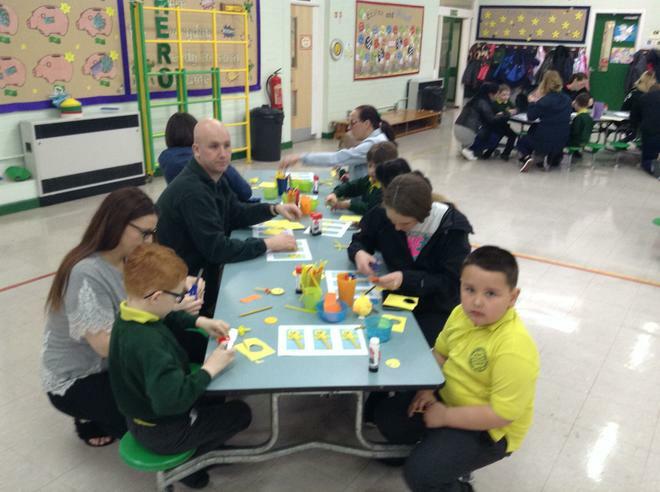 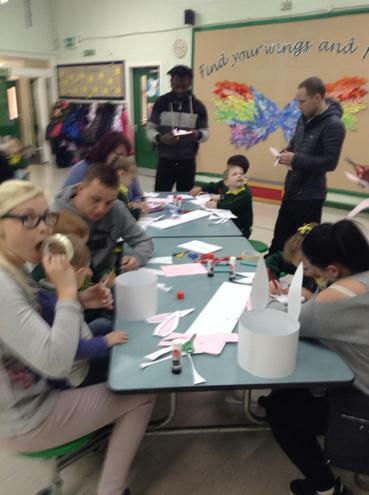 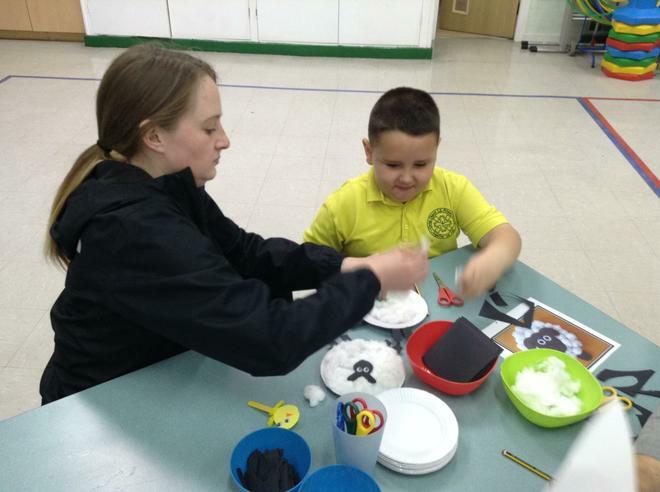 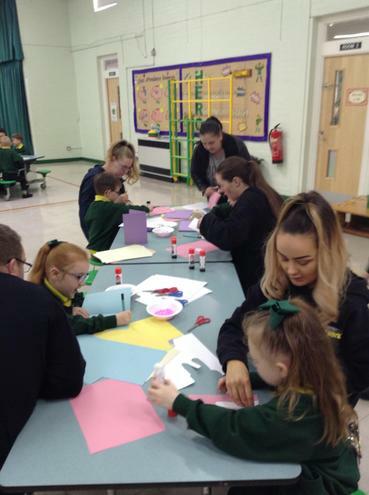 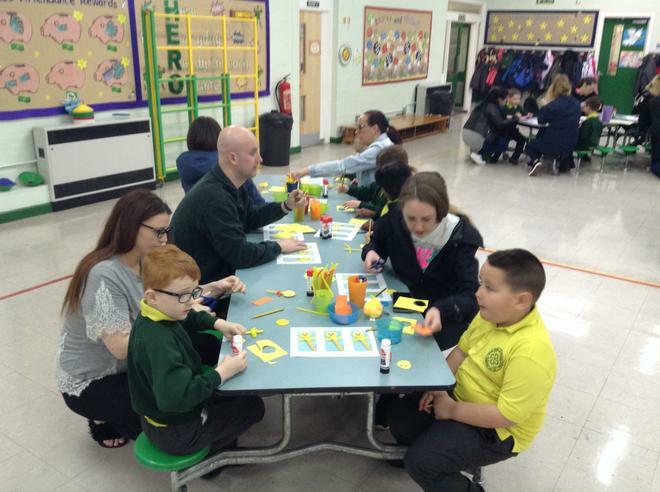 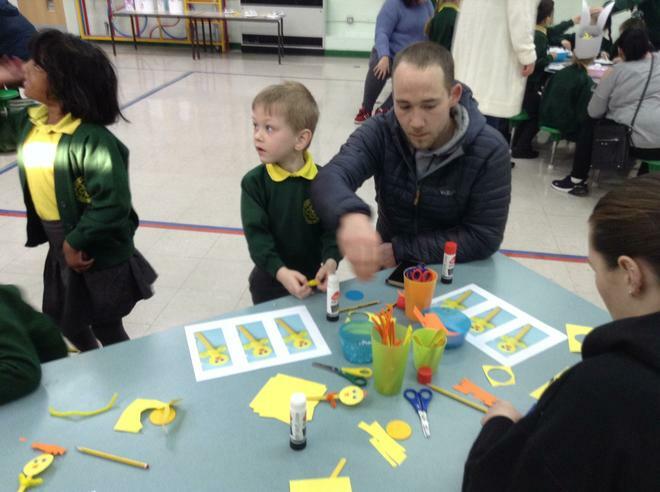 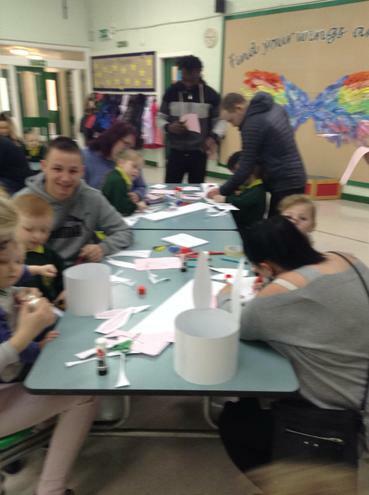 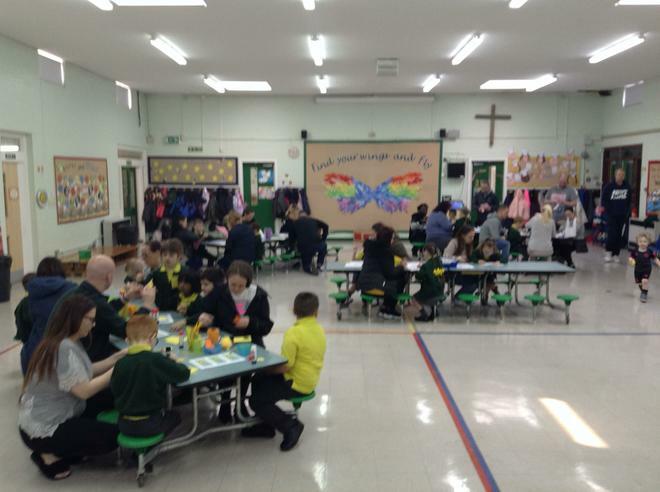 We enjoyed making different Easter themed crafts with our families and our teachers. 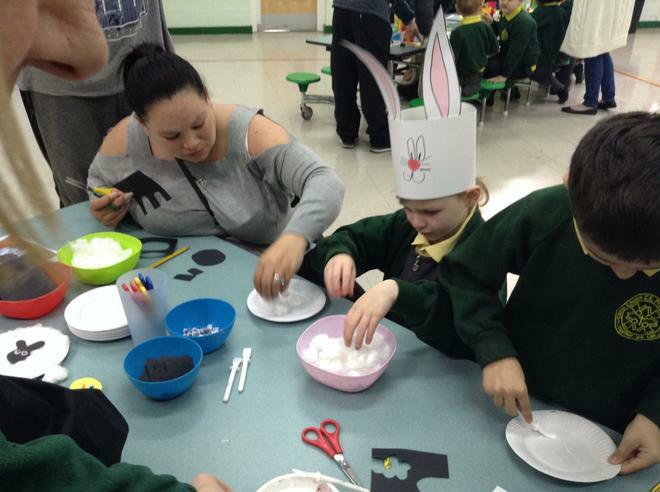 We even went on an Easter egg hunt with the Easter bunny! 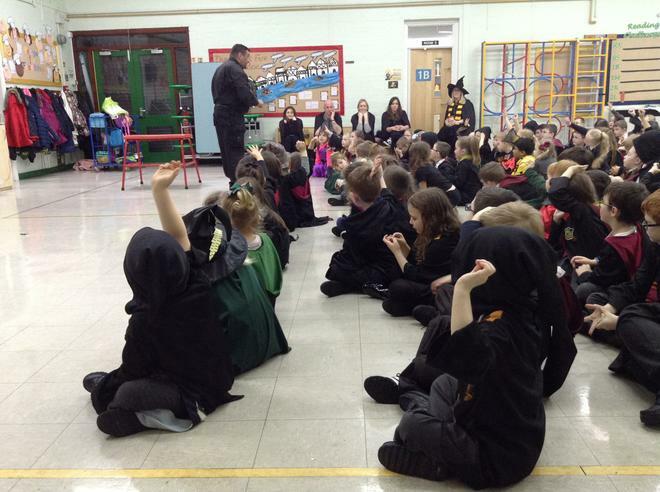 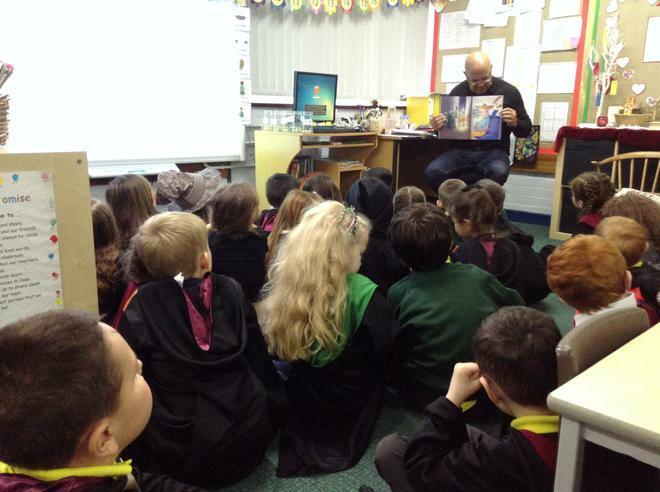 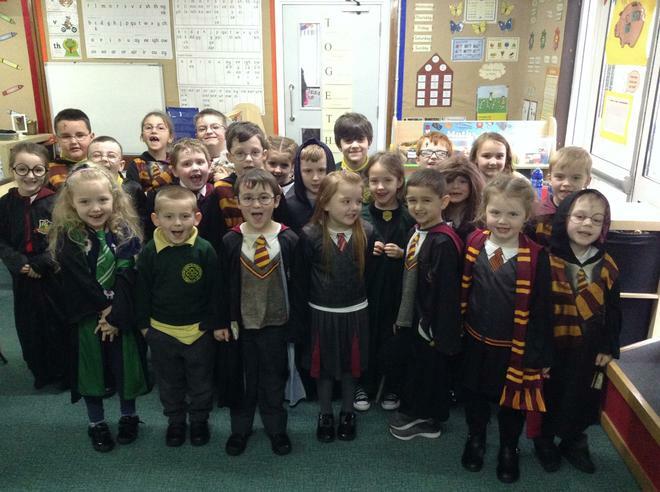 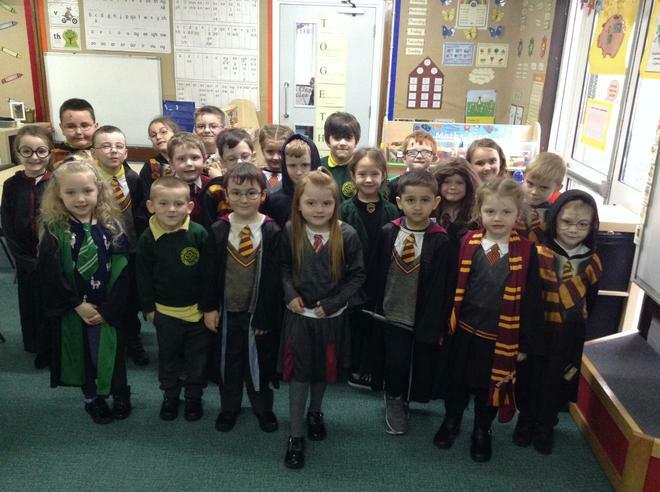 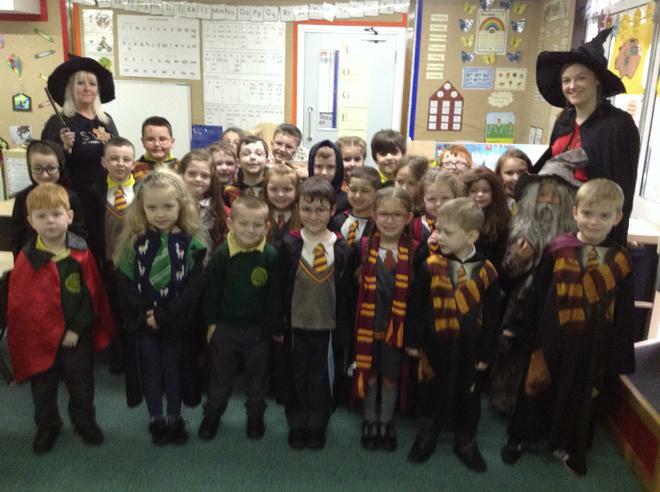 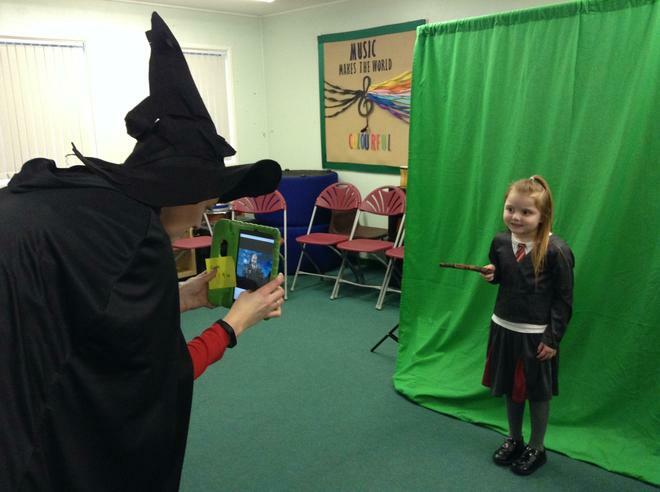 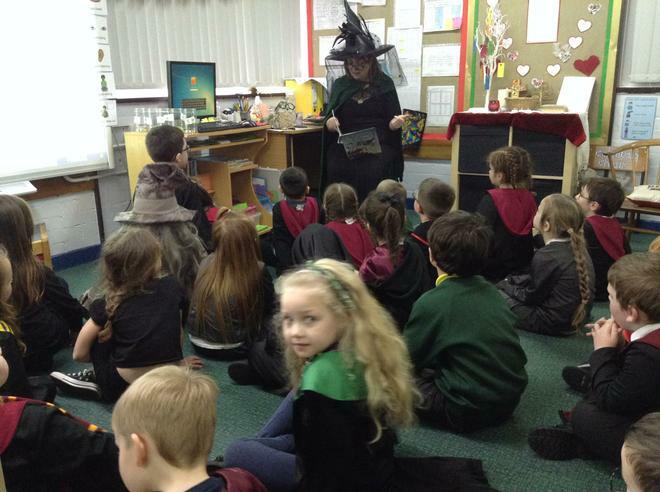 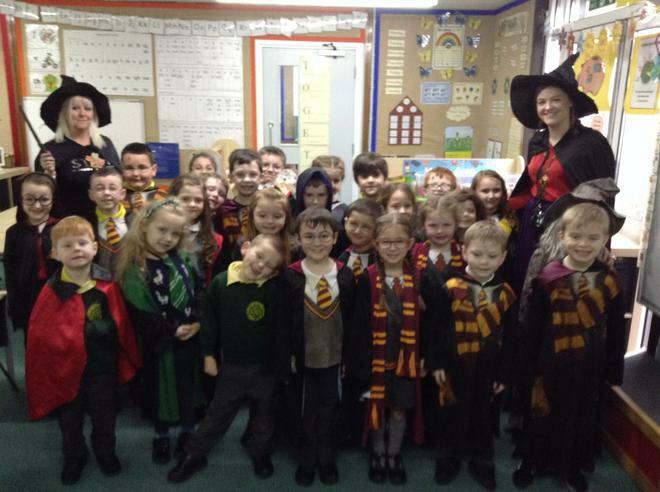 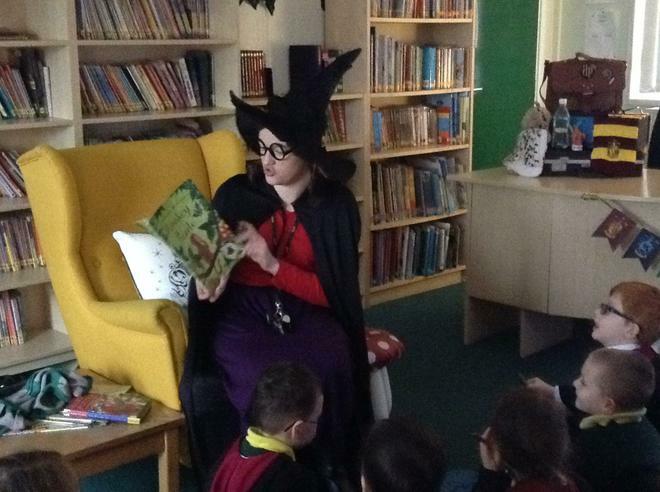 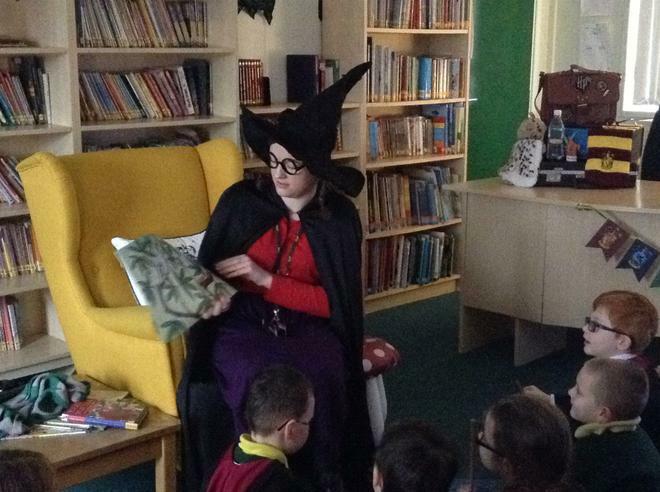 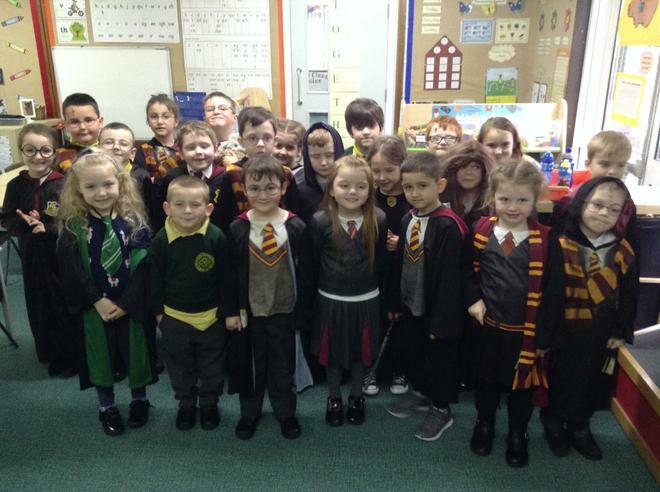 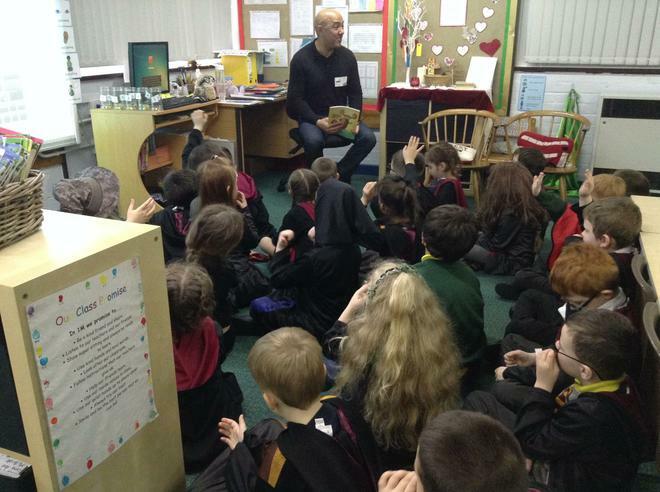 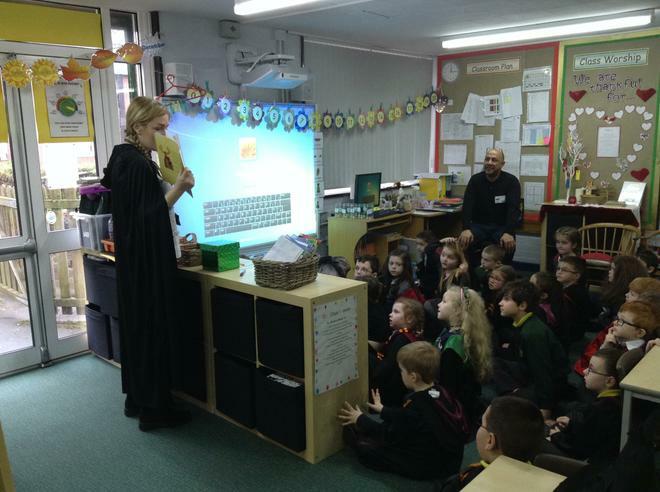 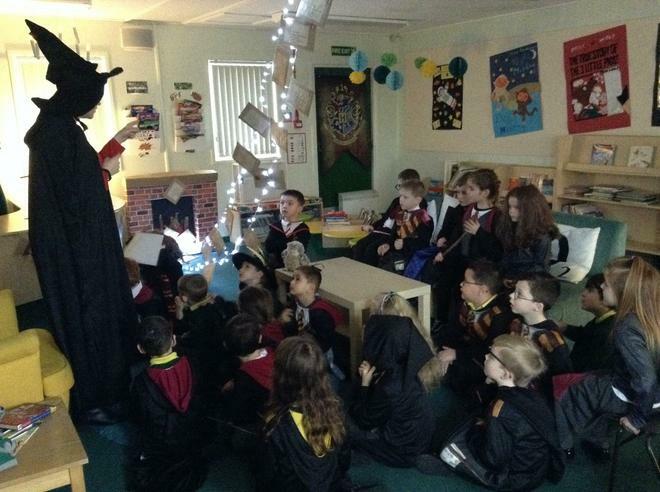 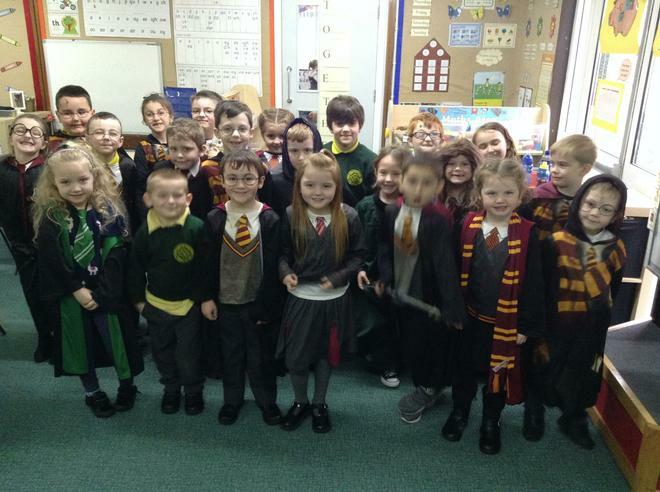 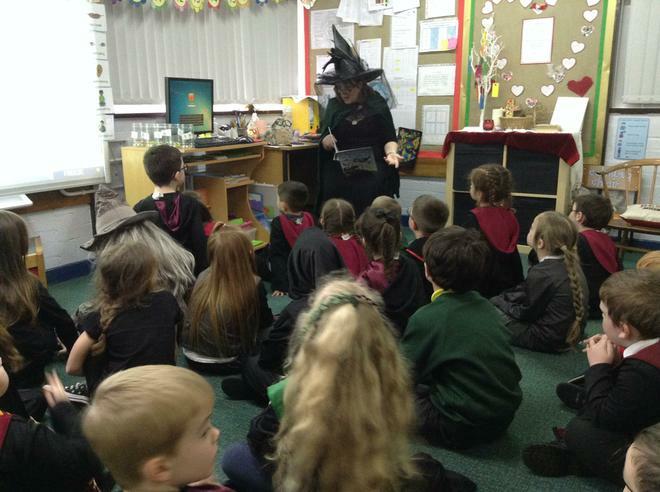 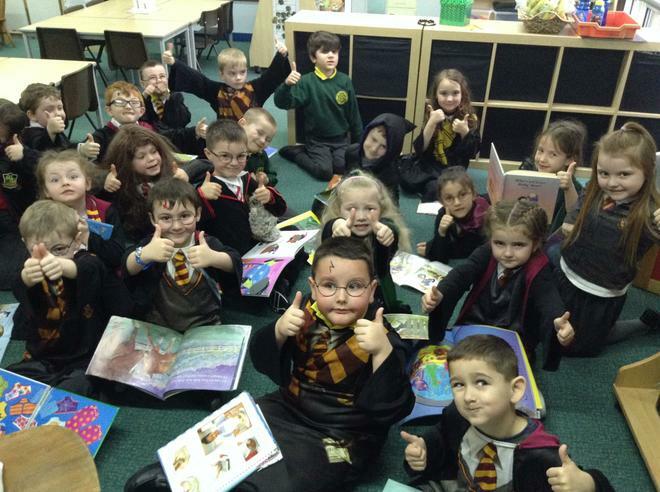 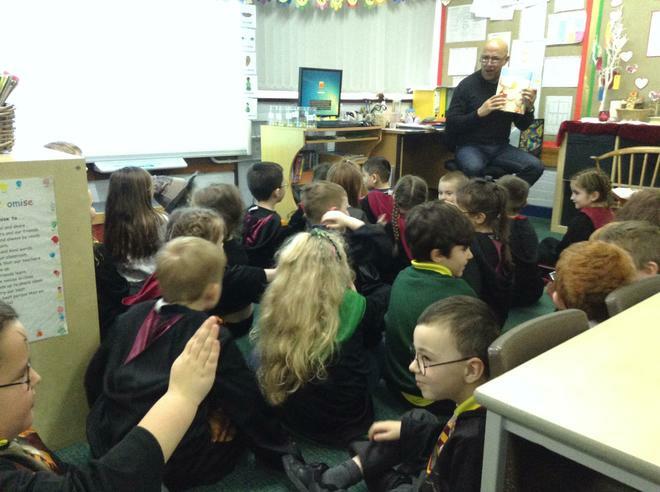 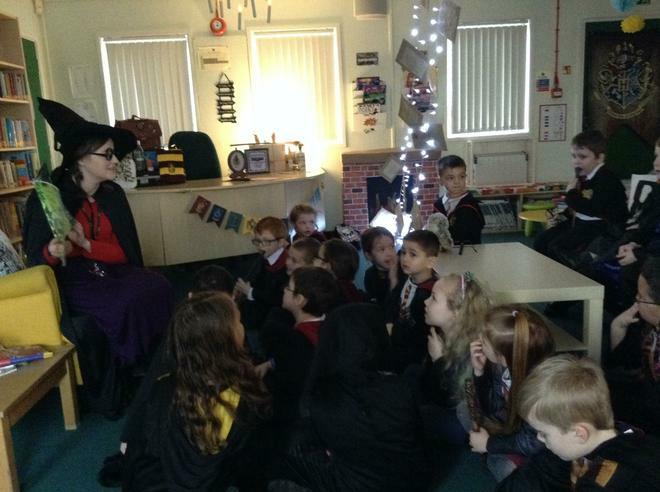 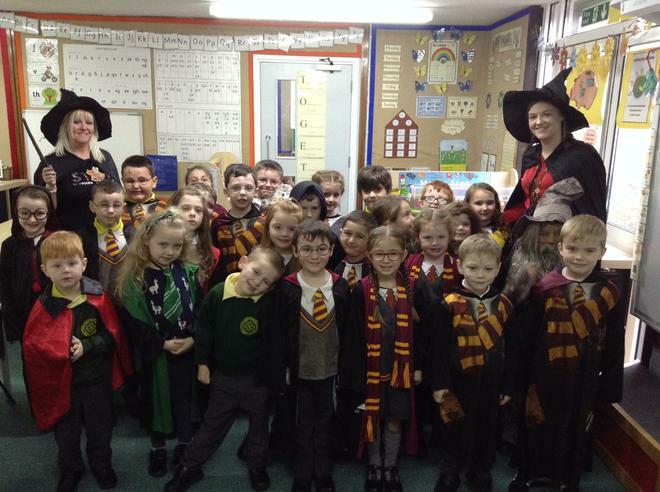 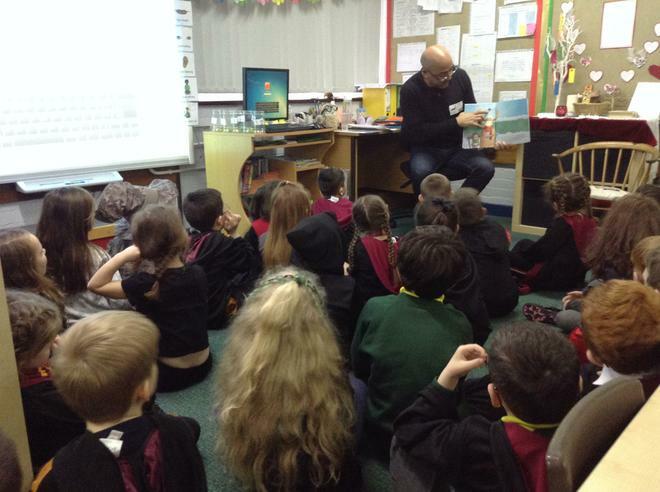 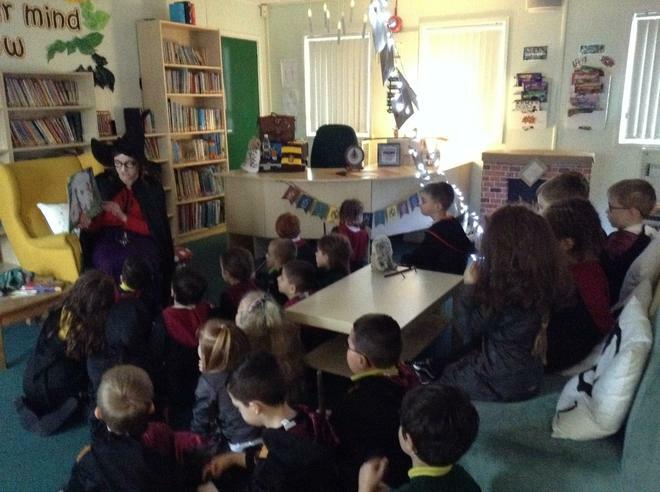 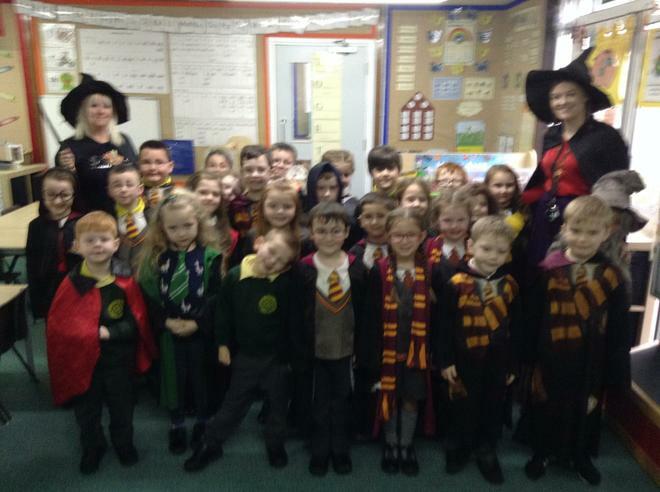 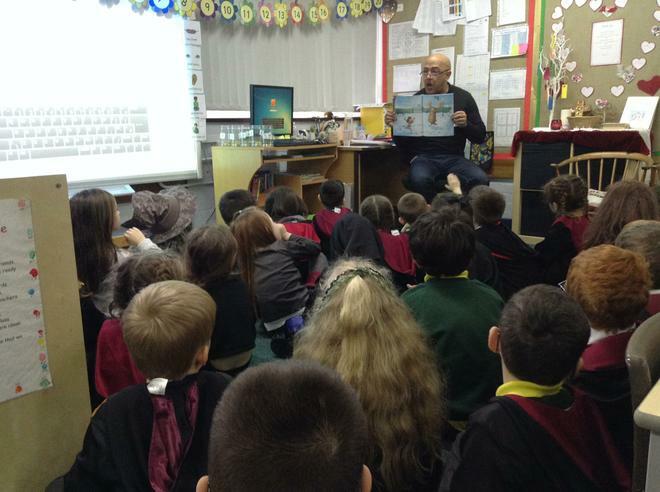 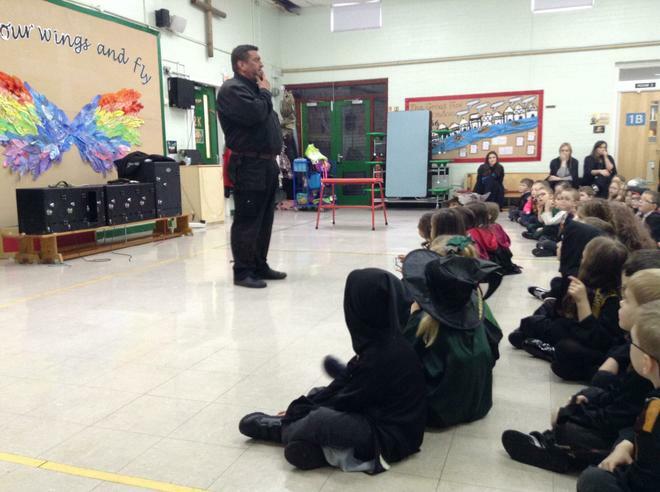 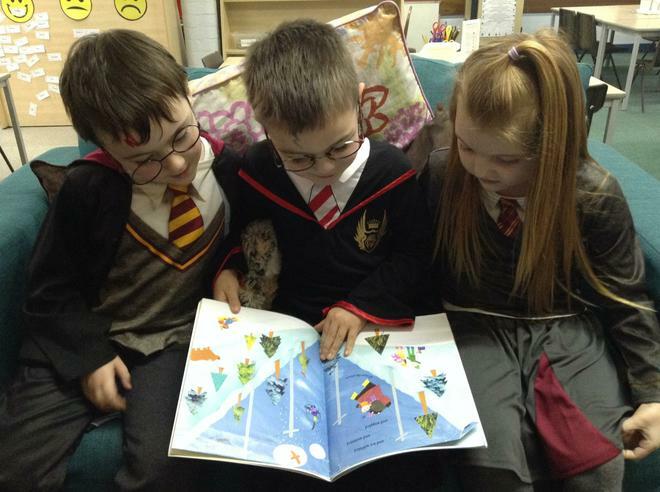 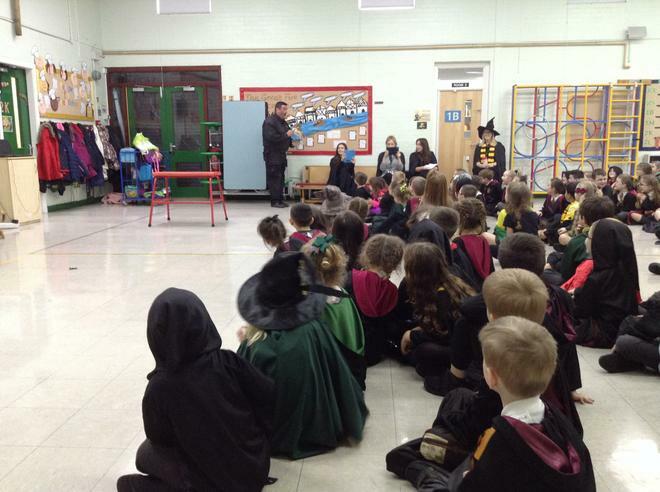 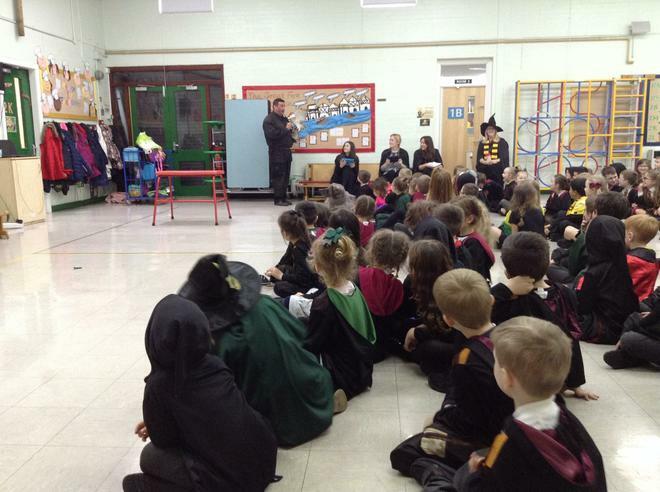 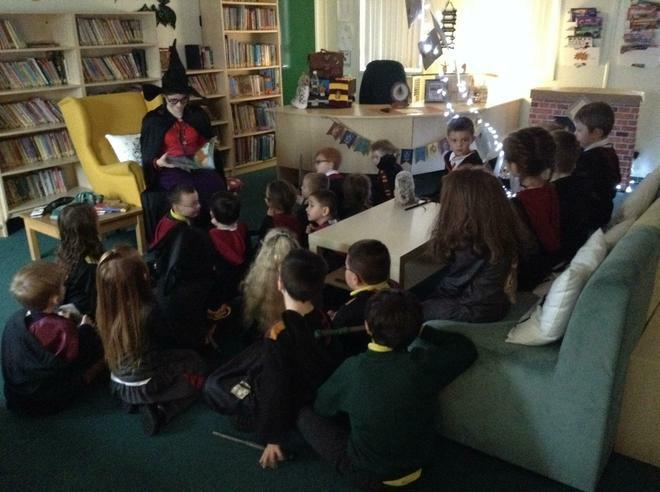 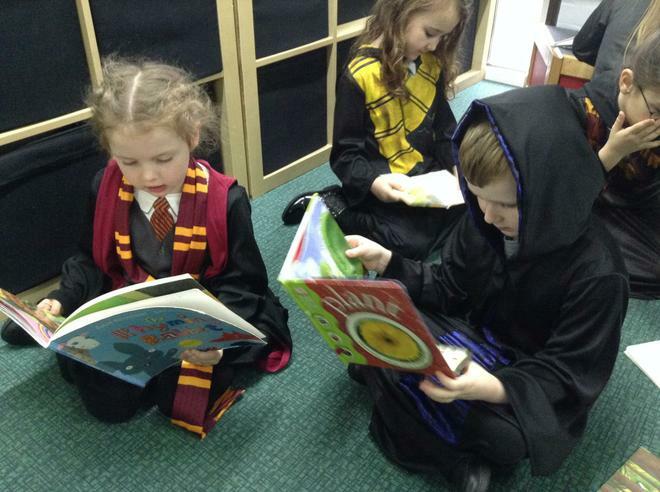 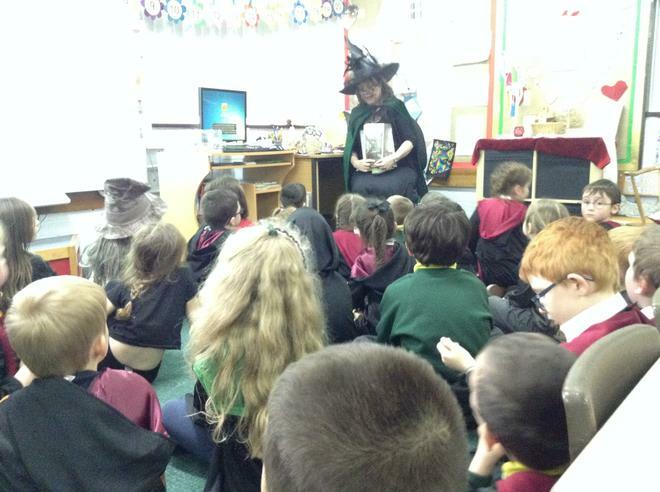 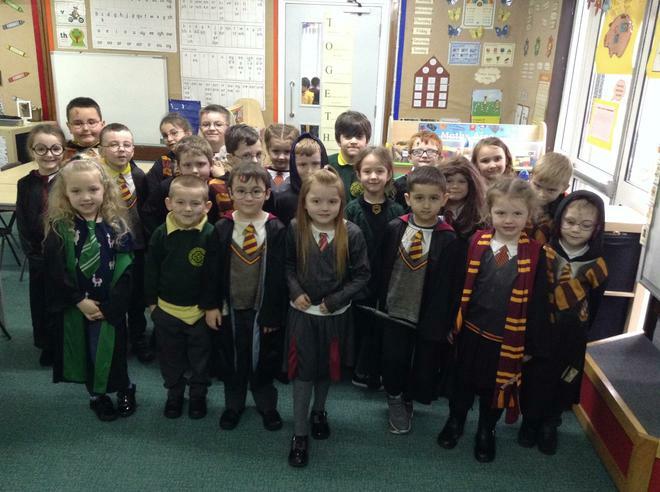 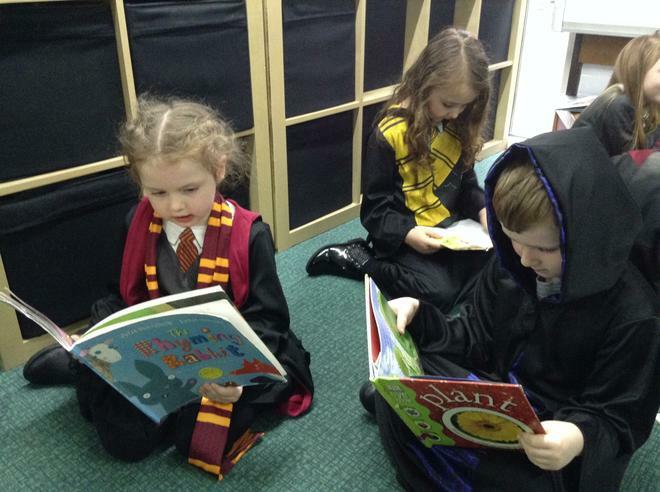 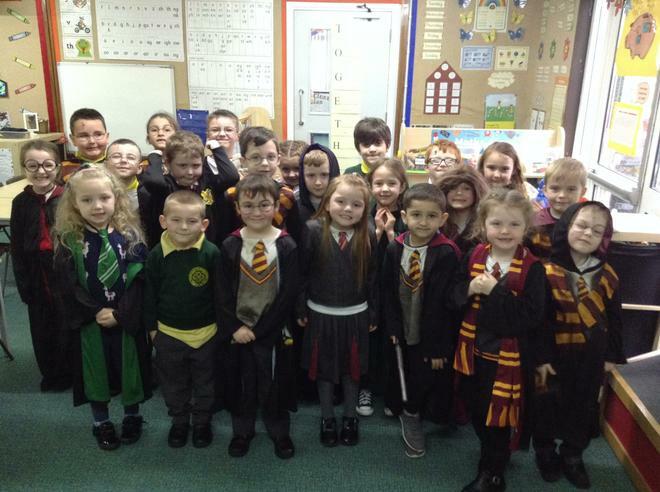 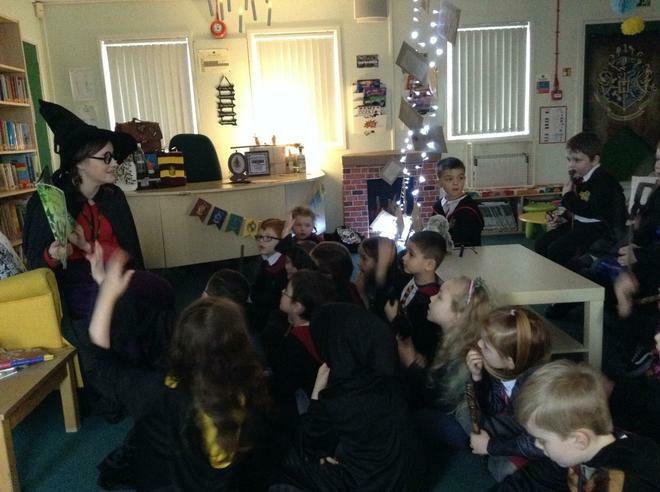 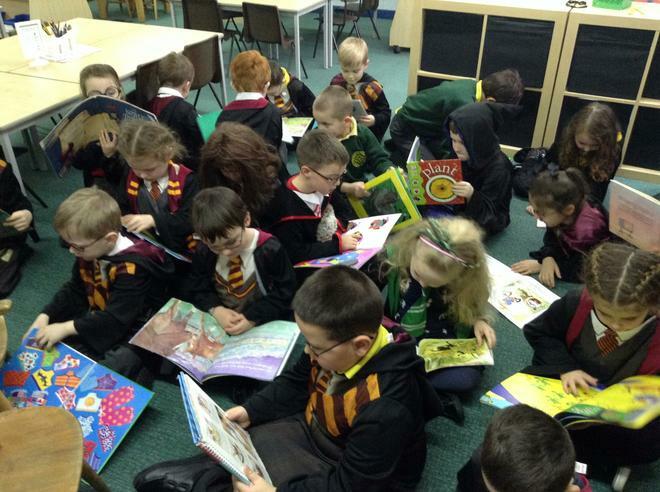 For world book day this year our school turned into 'Christ Church School of Witchcraft and Wizadry'. 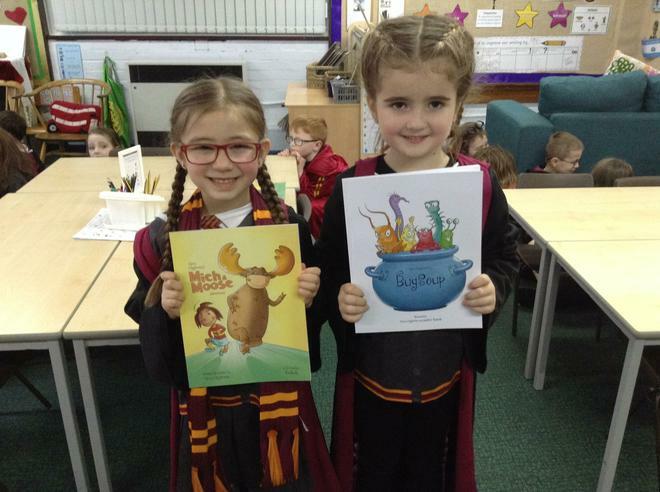 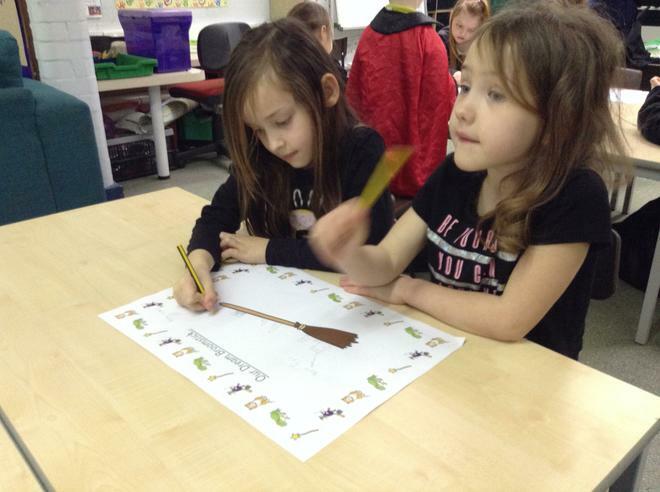 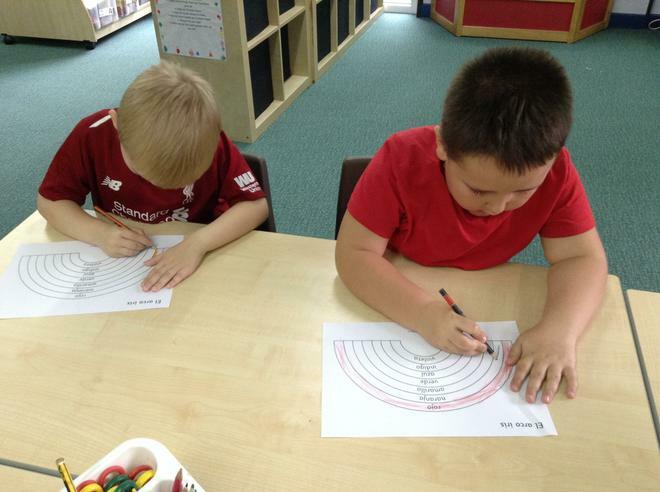 We had a brilliant day visiting the library, reading books and designing our own broom stick. 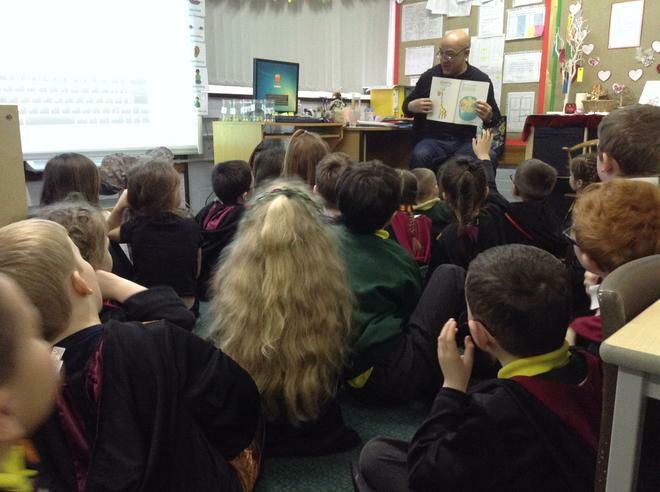 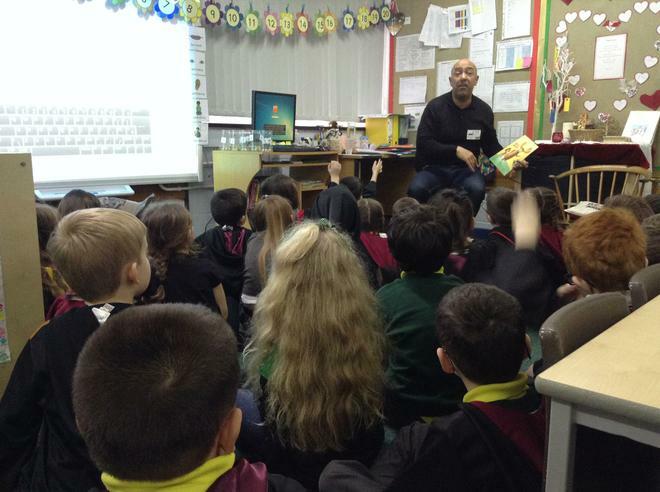 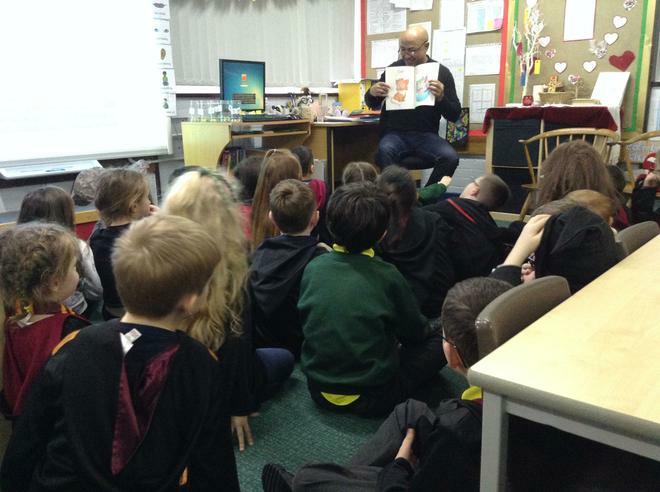 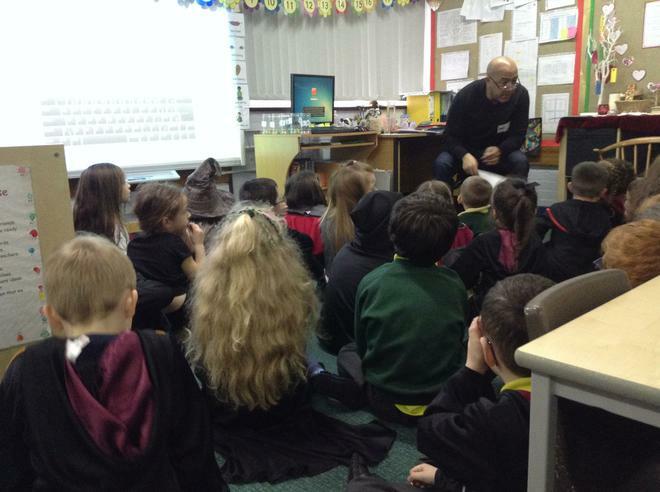 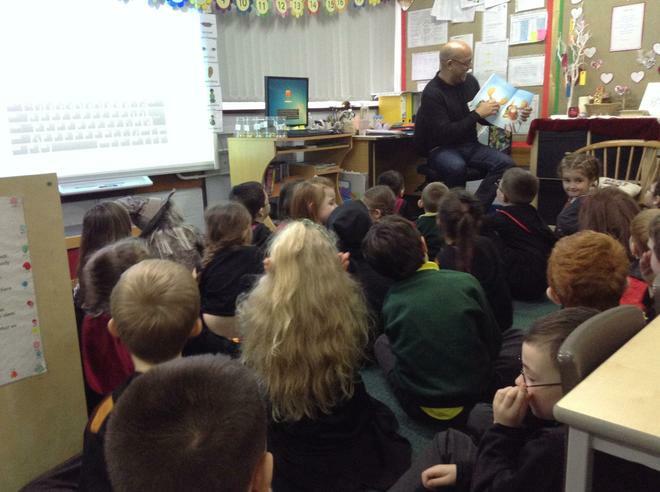 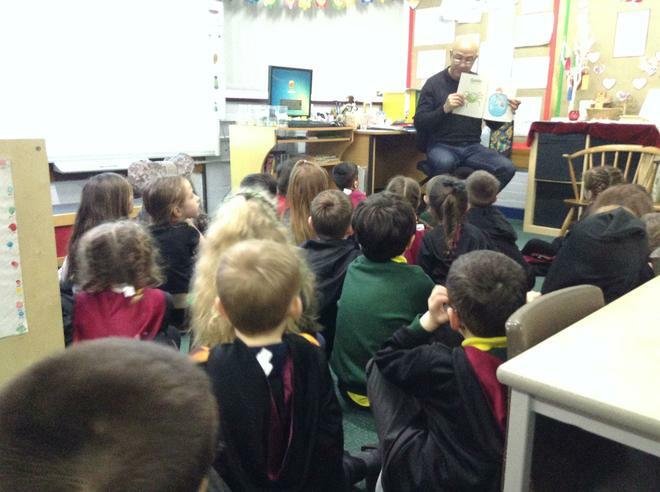 We were also very lucky to have author Vince Cleghorne visit our class and read us two of his stories. 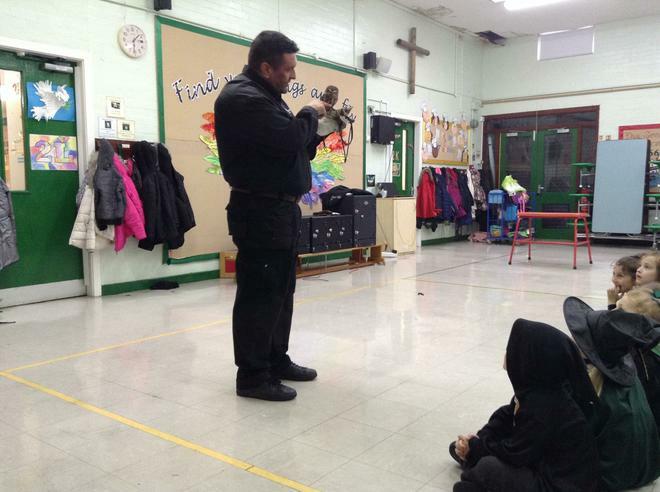 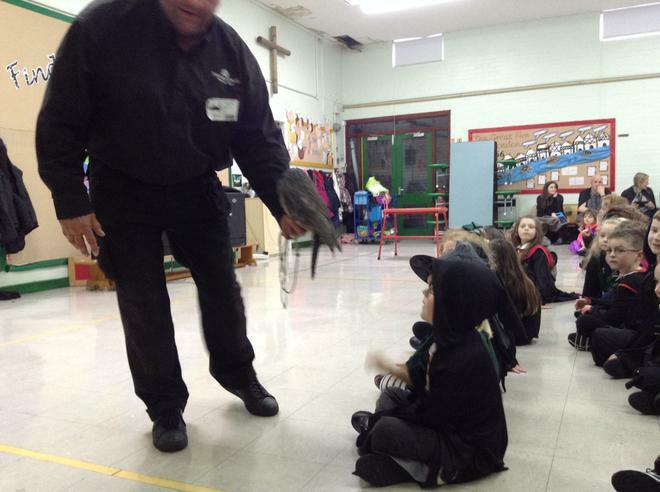 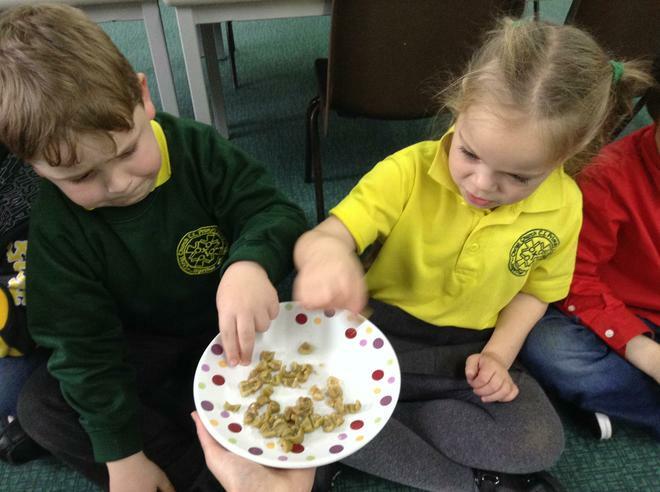 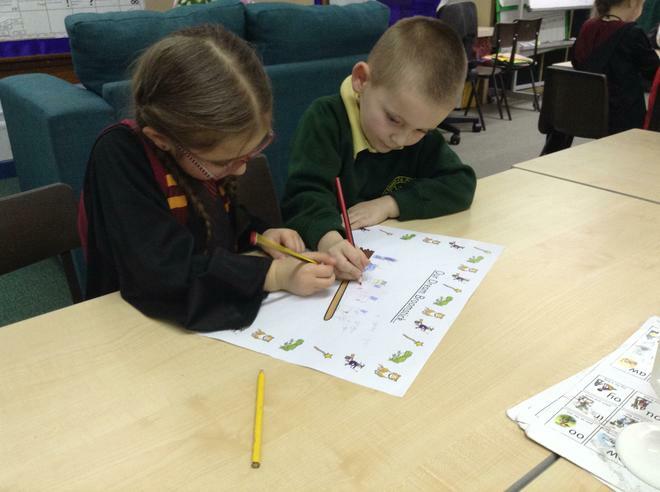 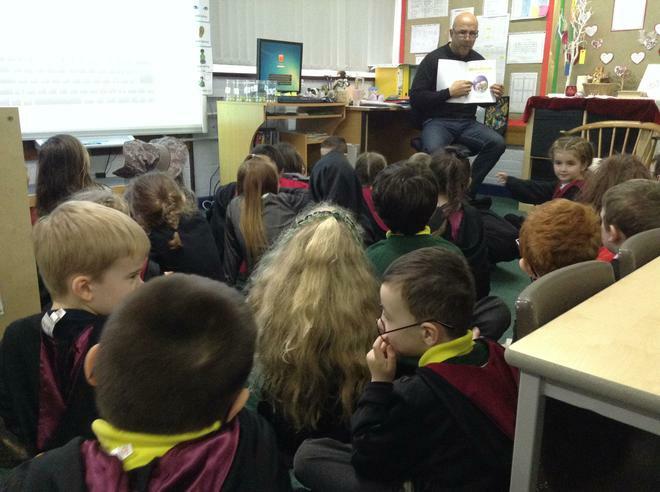 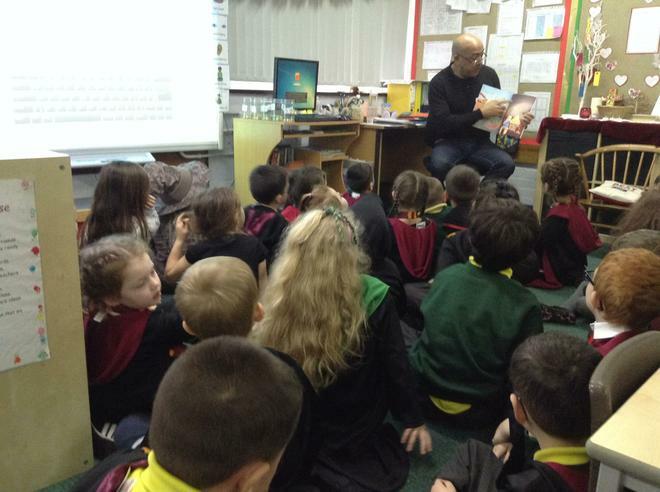 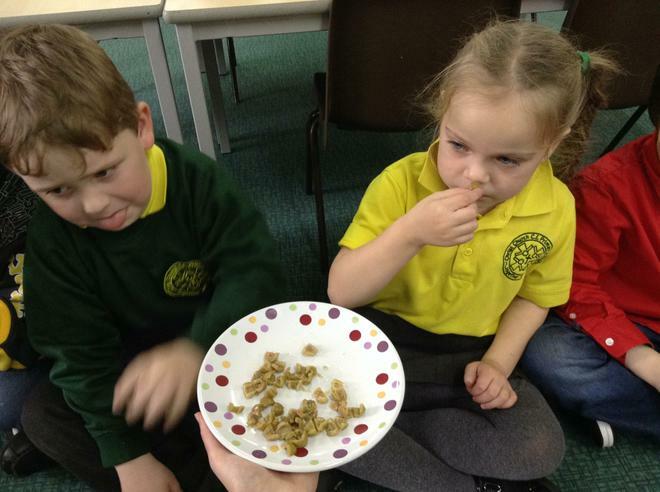 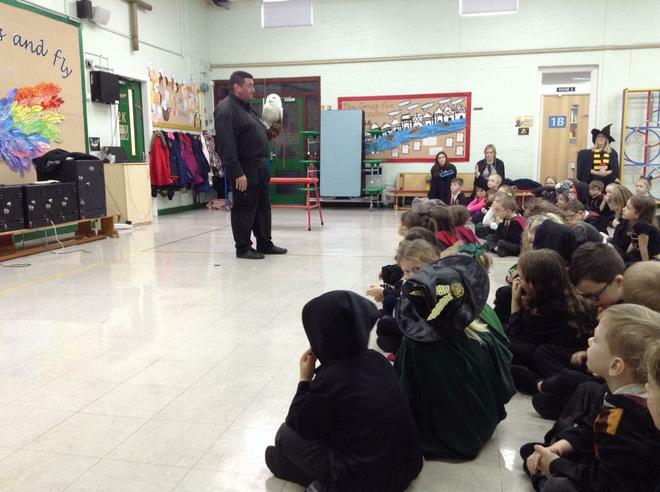 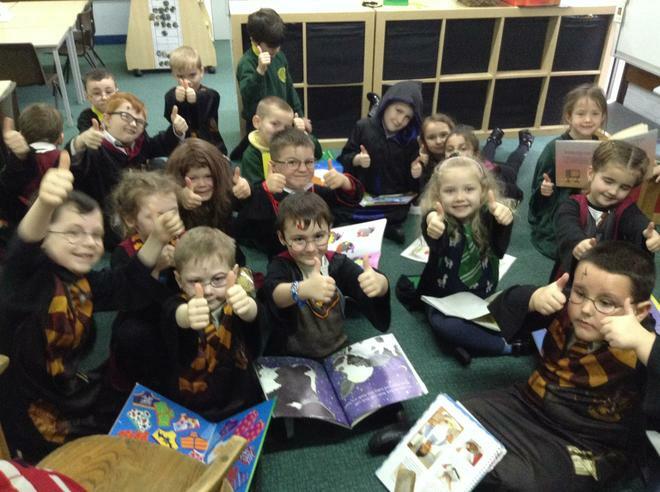 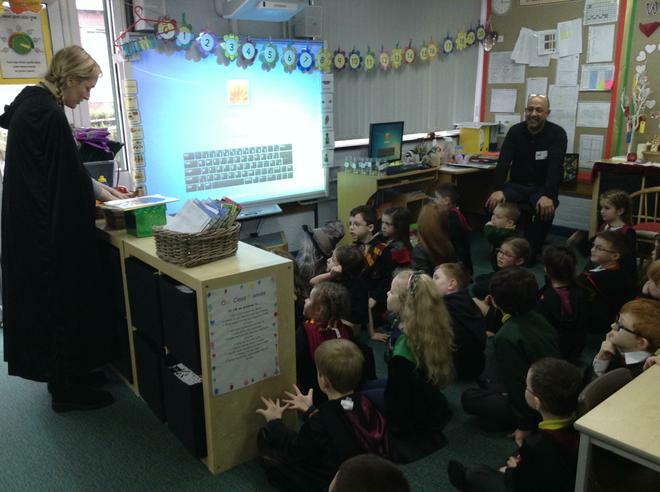 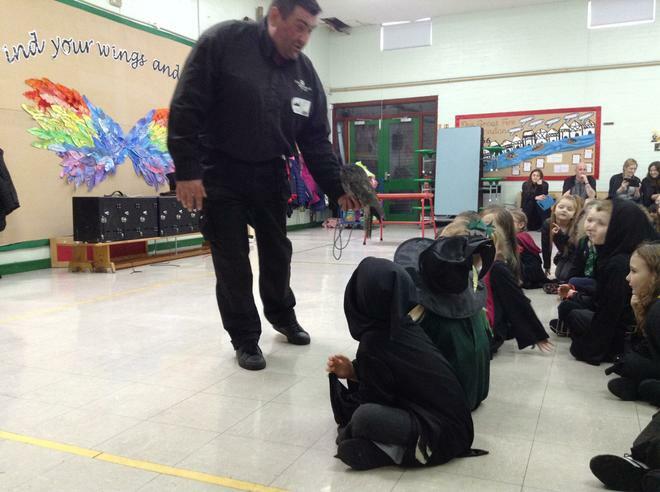 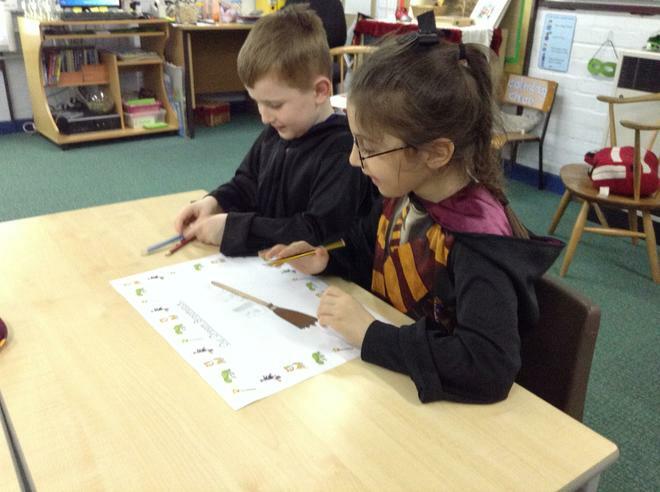 In the afternoon we were very excited to have the owls visit us and we learnt about the different types of owls. 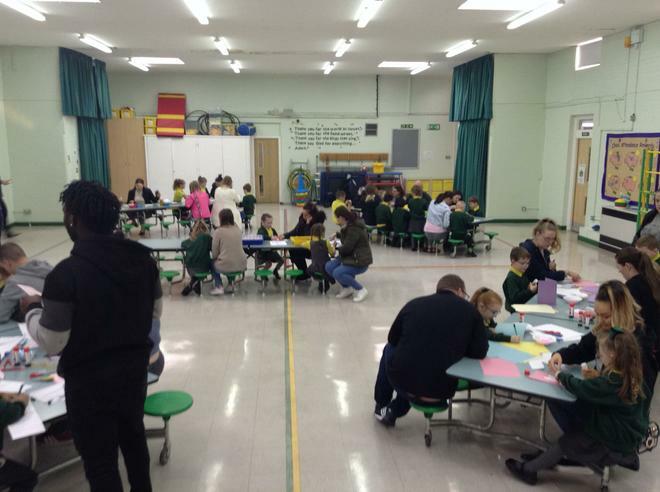 Here are some of our amazing home school link projects from this term. 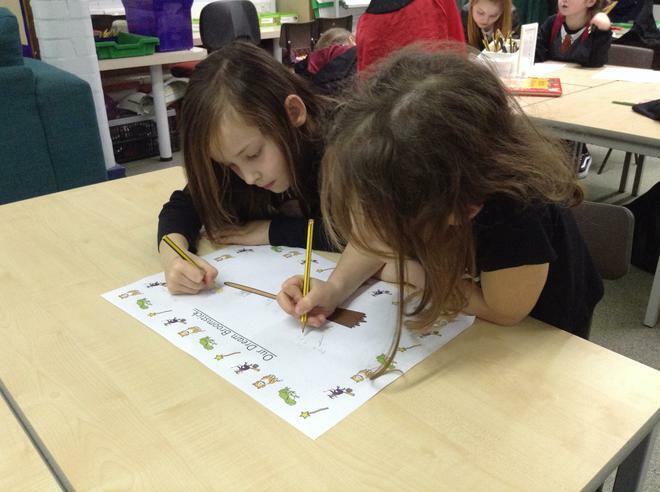 Our class have put in 100% again into their projects and really thought outside the box when making a house from 1666. 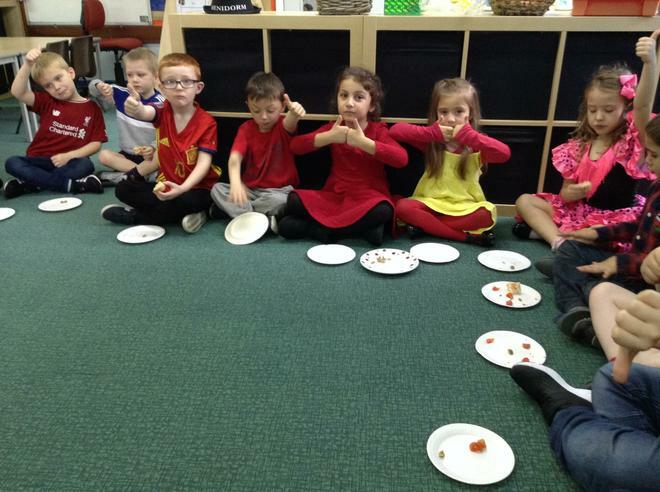 Well done 1M! 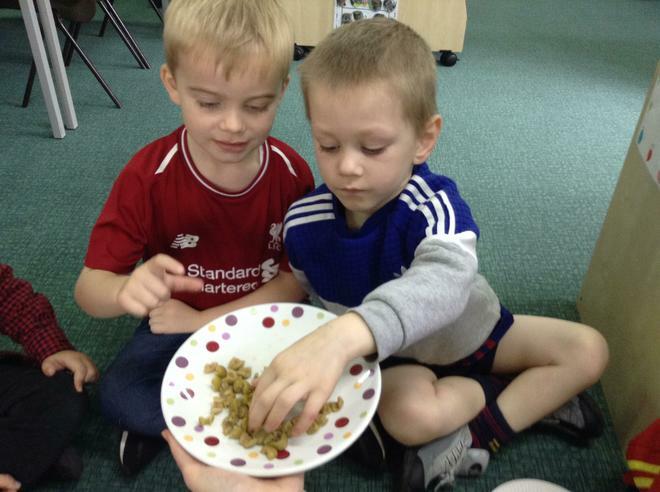 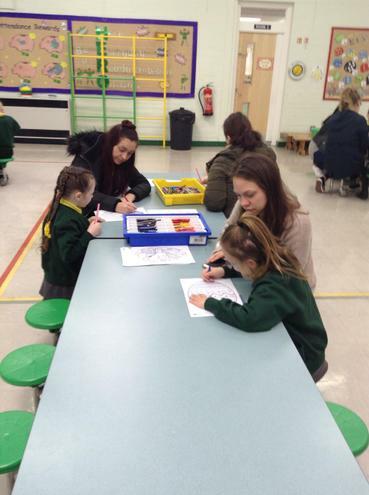 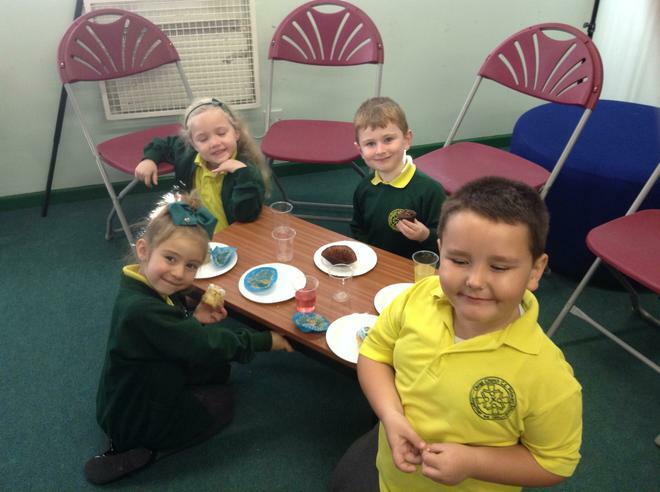 During this term we celebrated 'children's mental health and wellbeing week'. 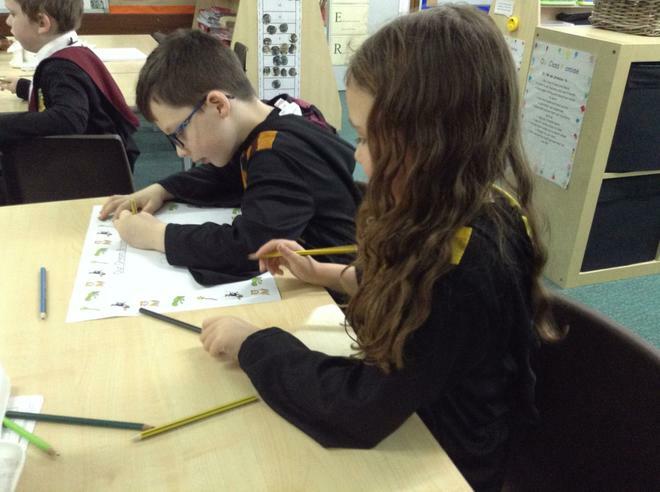 We discussed the importance of helping our brains to stay healthy and happy and explored different ways that we can do this using the 5 ways to wellbeing. 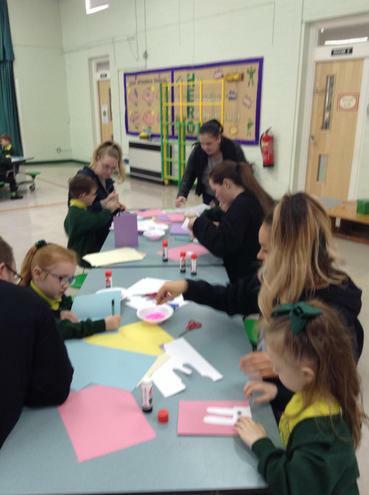 Each day we focussed on one of the 5 ways to wellbeing and came up with different ideas of ways that we can make our brains and hearts happier using these themes. 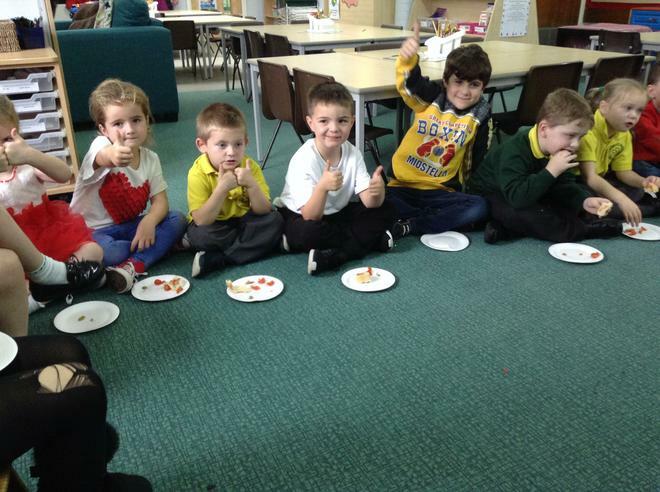 We had a great week making ourselves and our friends happier in 1M. 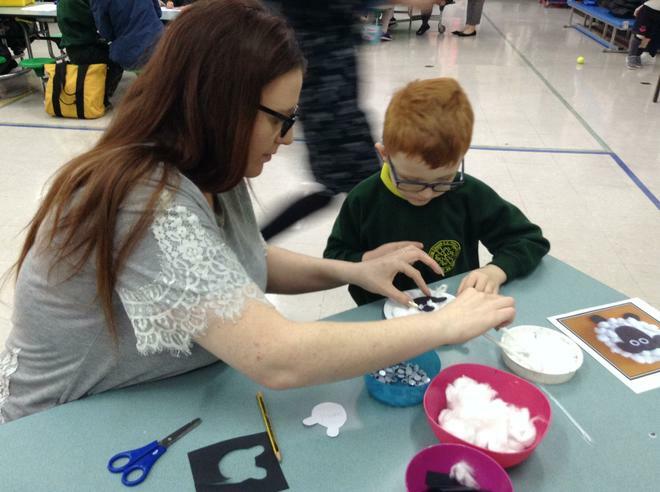 Here are a few of our fantastic home school link projects for the Autumn term. 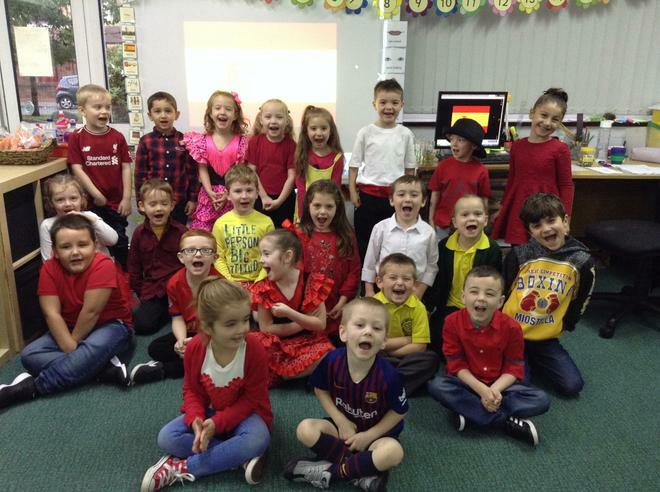 We are all so impressed with the effort that our class has put in to all of their projects. 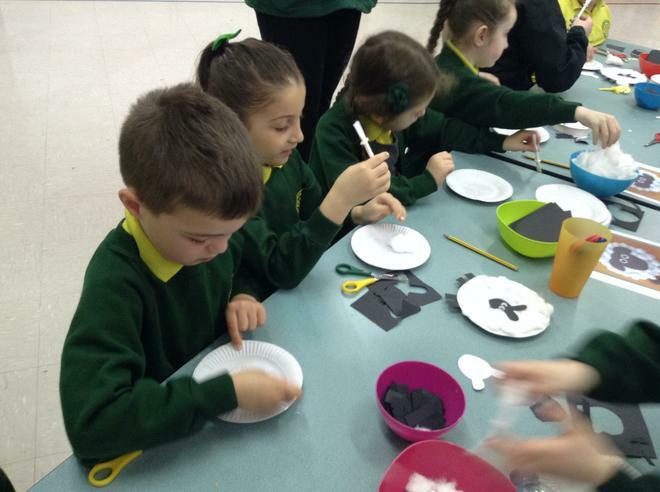 Brilliant work 1M! 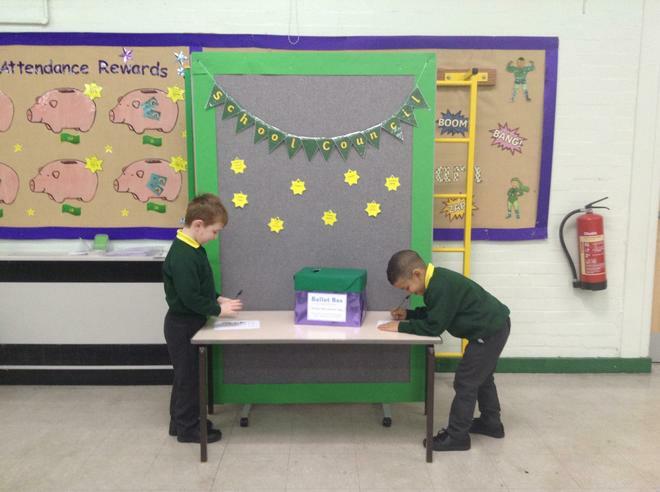 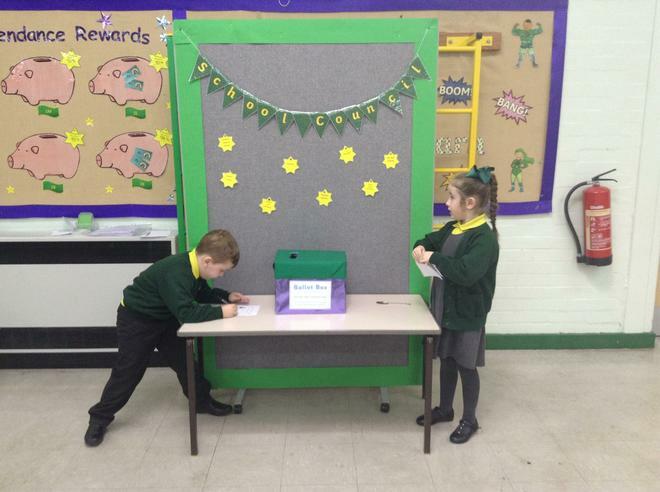 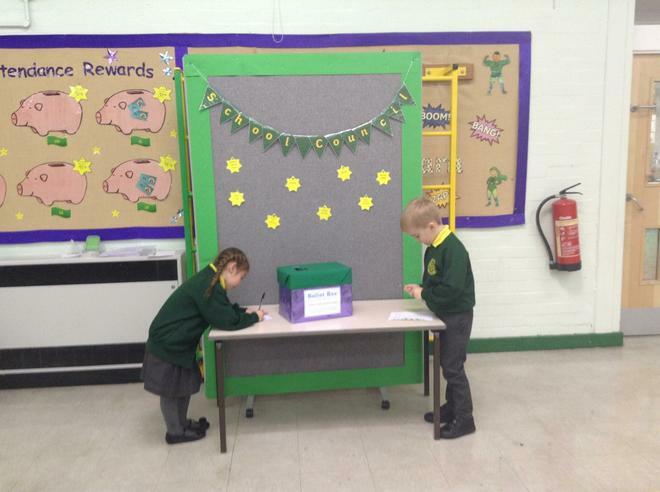 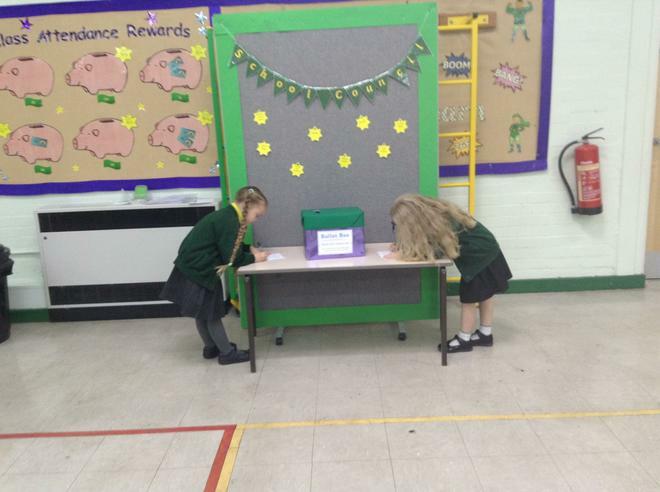 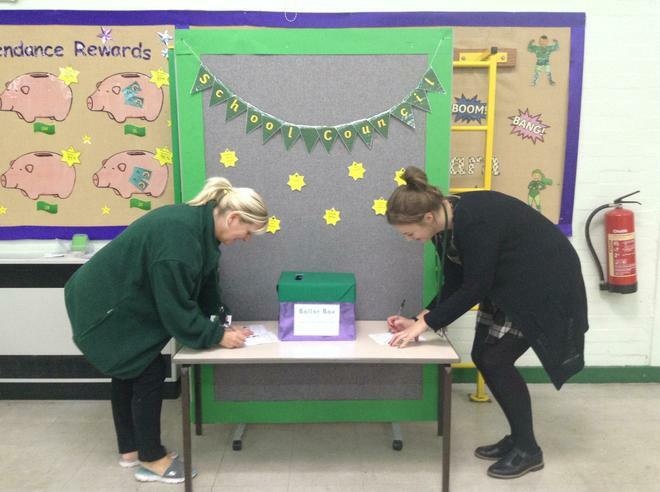 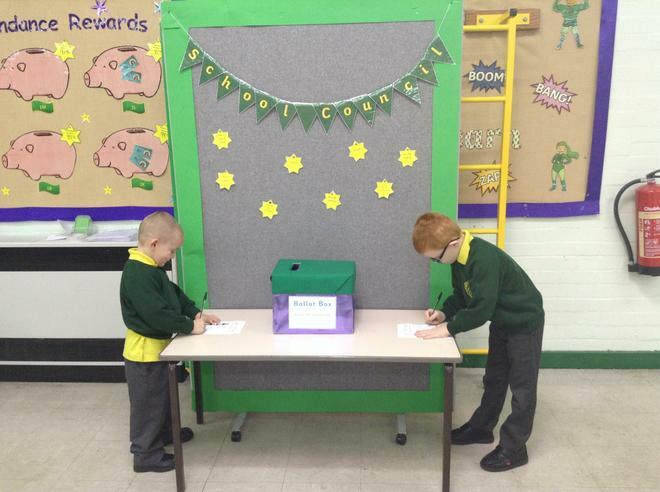 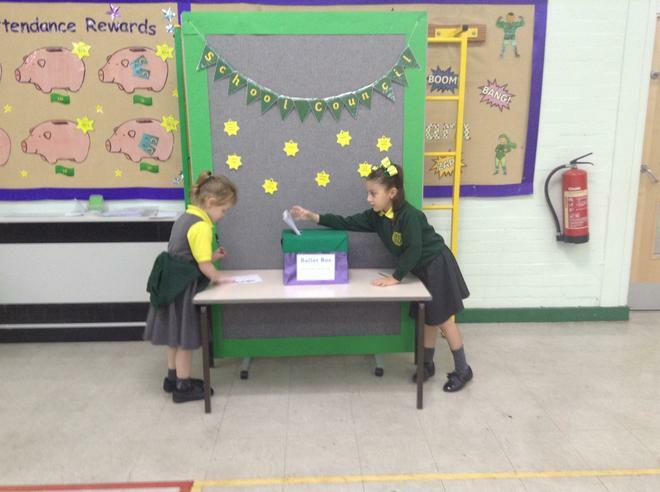 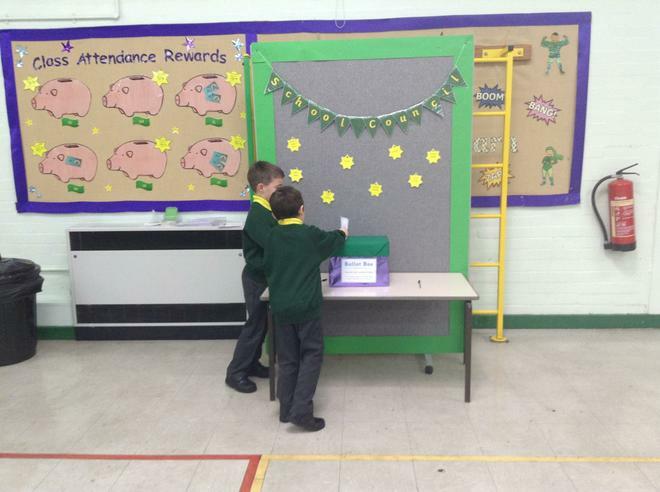 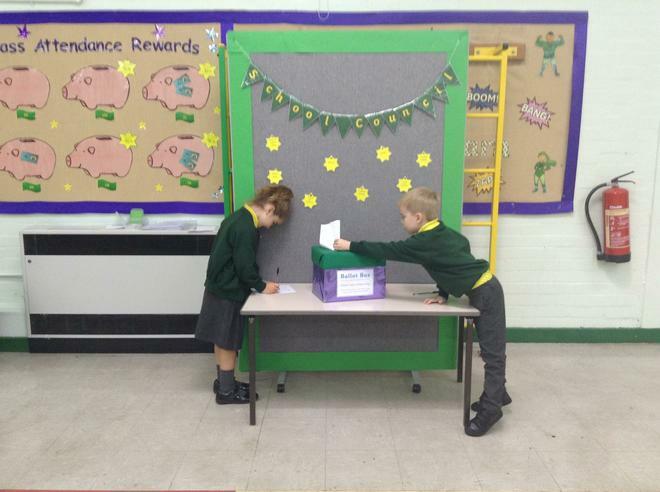 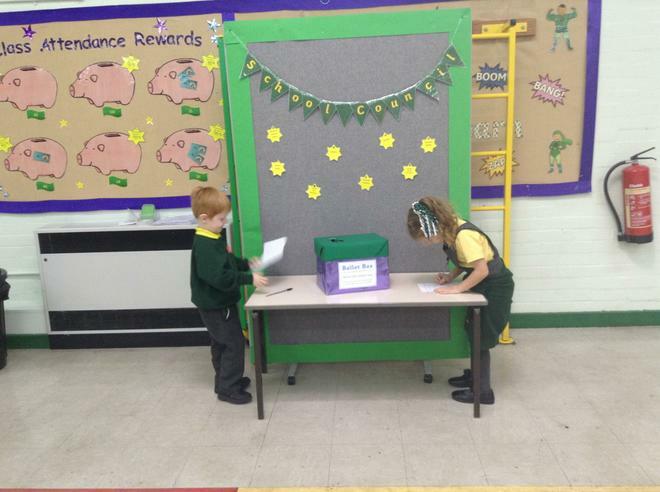 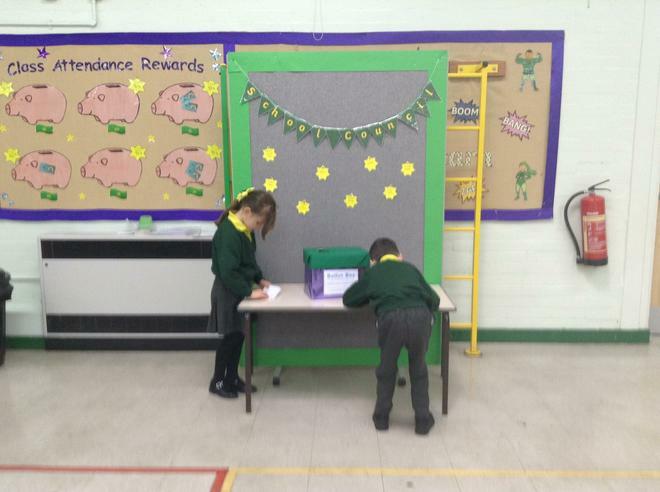 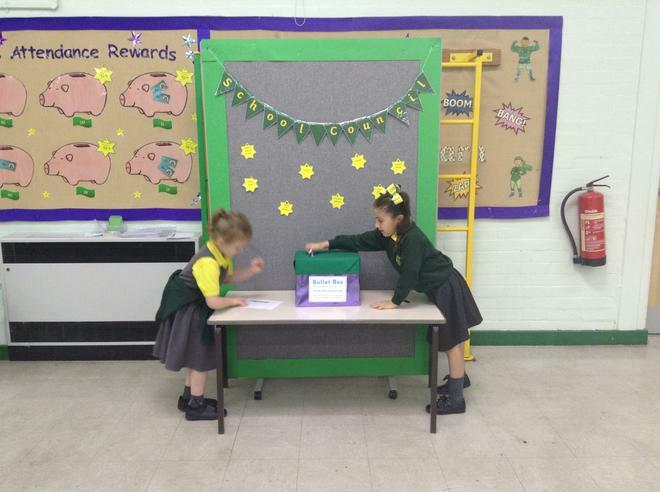 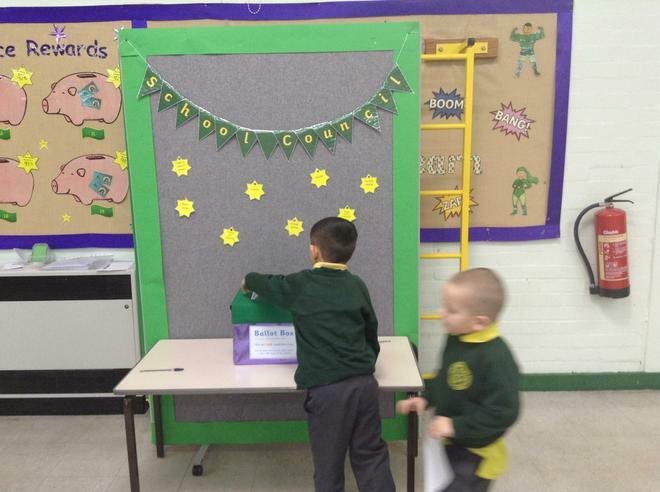 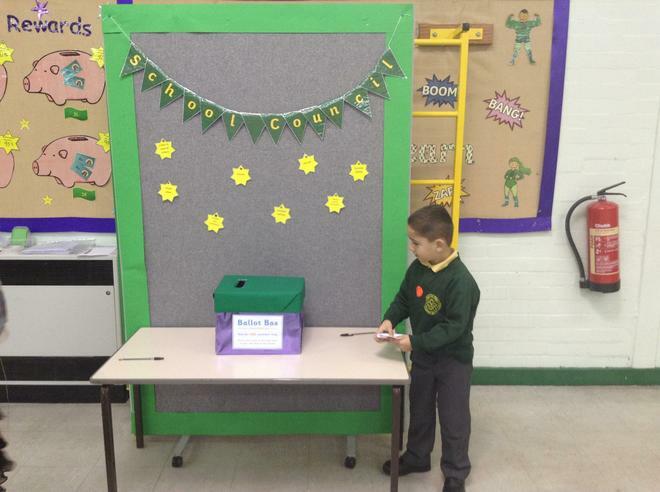 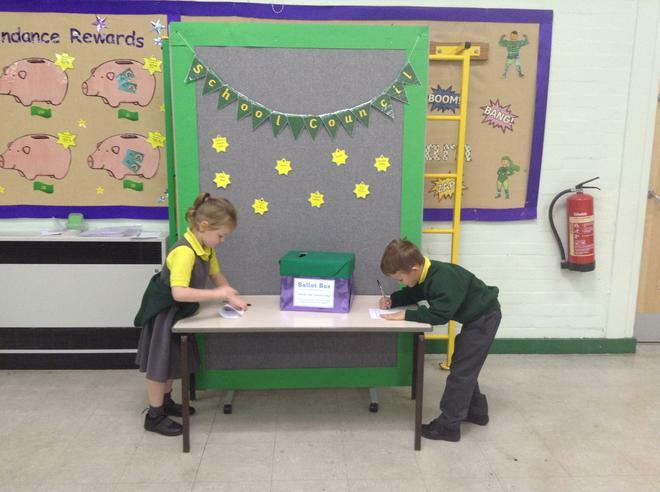 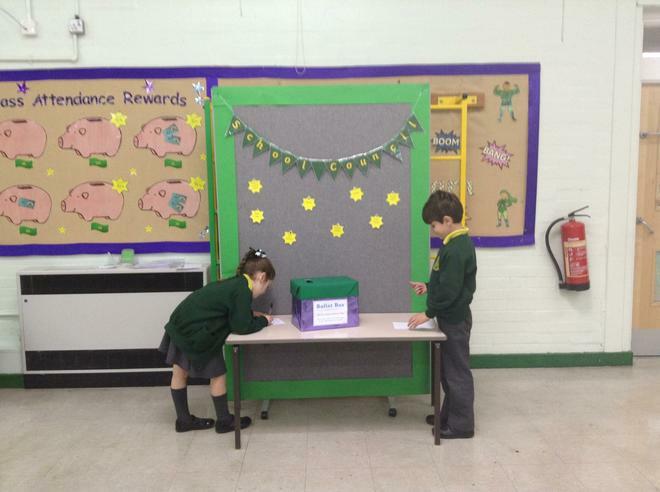 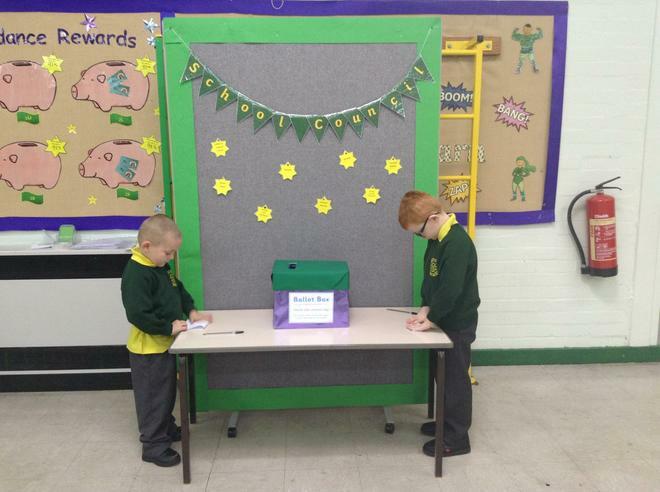 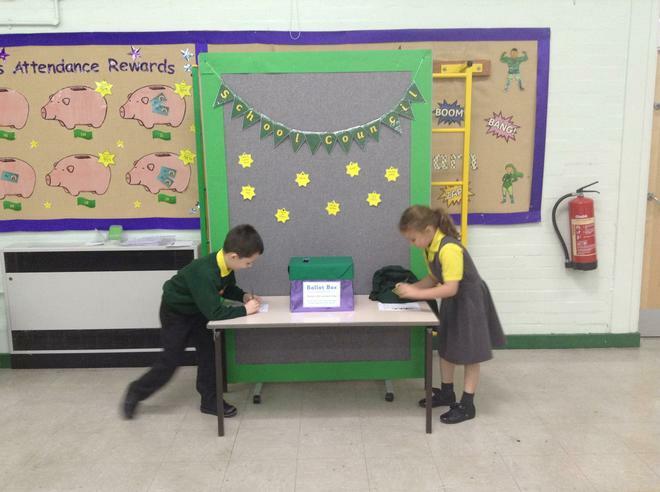 Today we have voted for who we would like to be our class counsellor... our four candidates are keeping their fingers crossed. 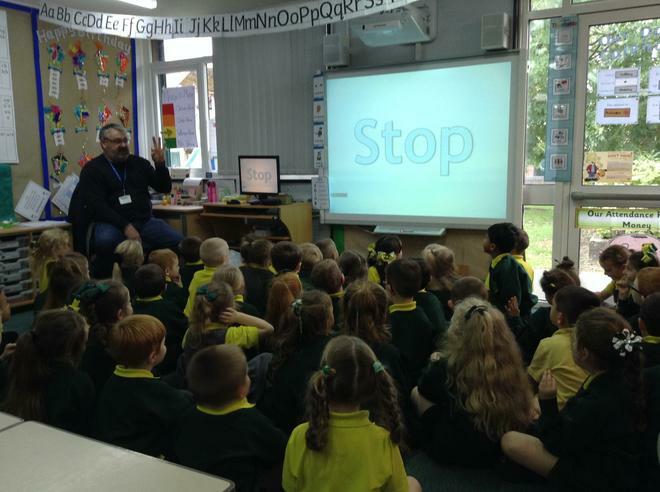 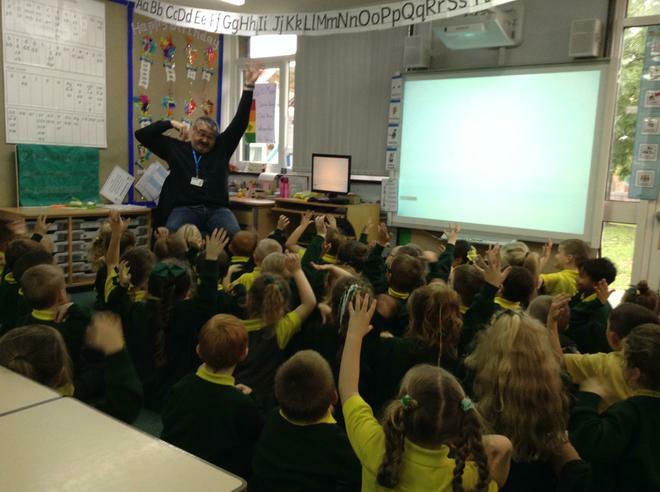 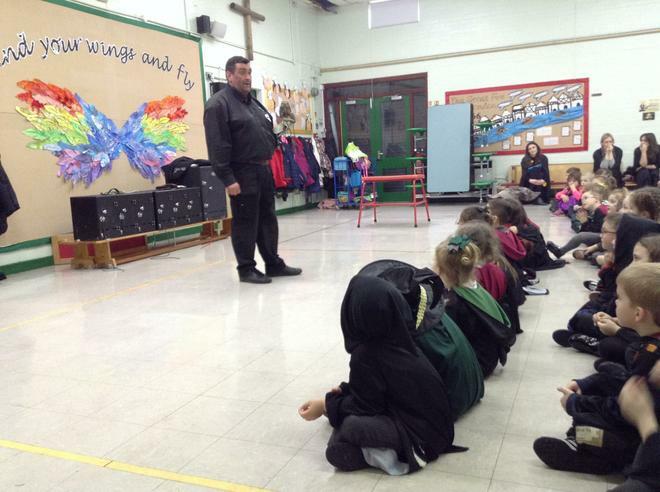 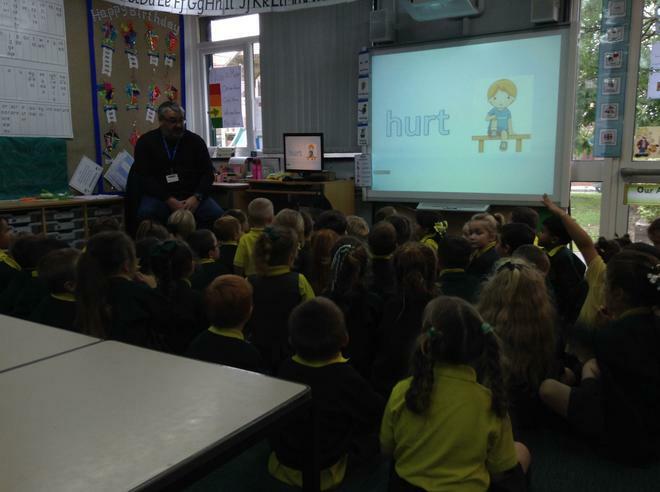 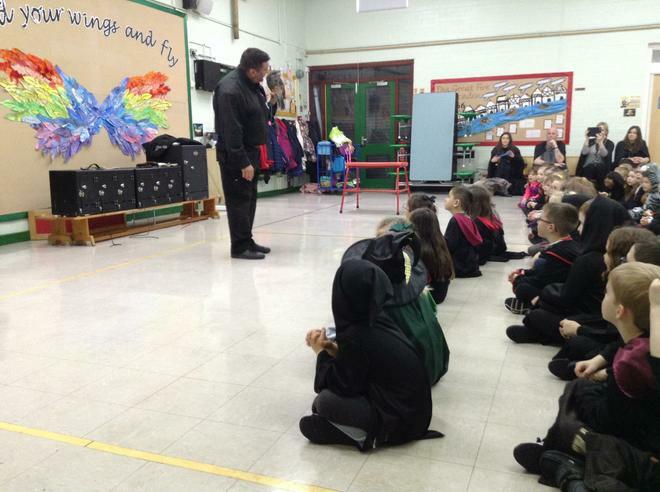 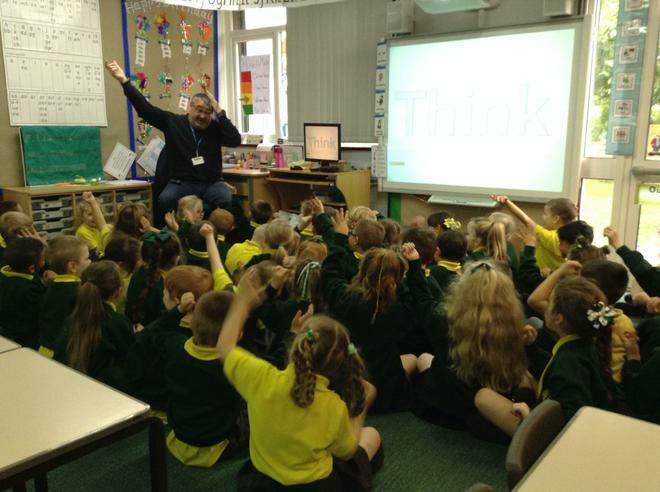 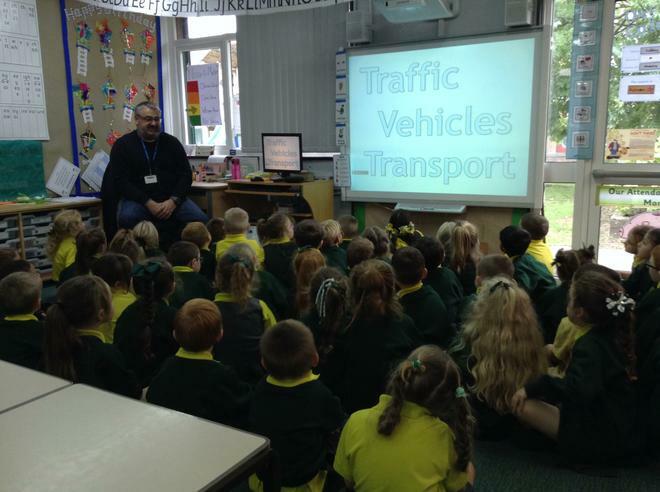 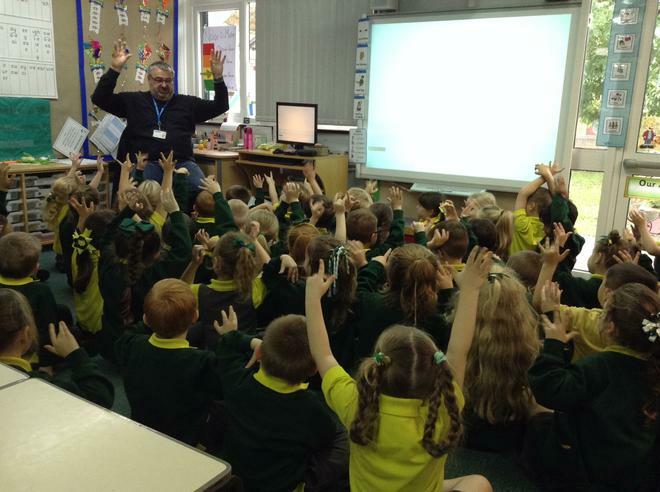 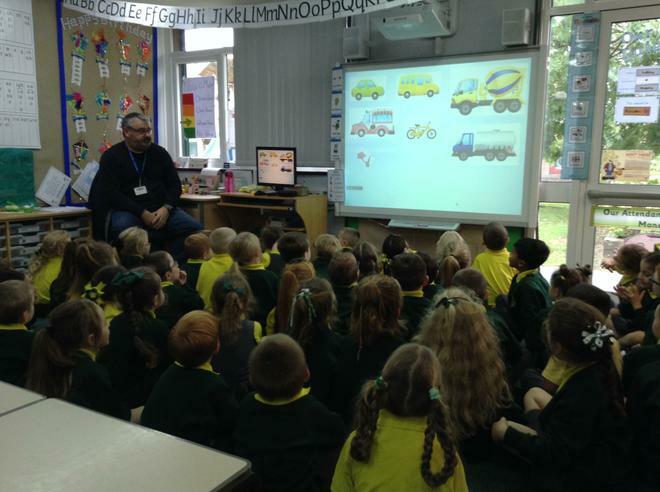 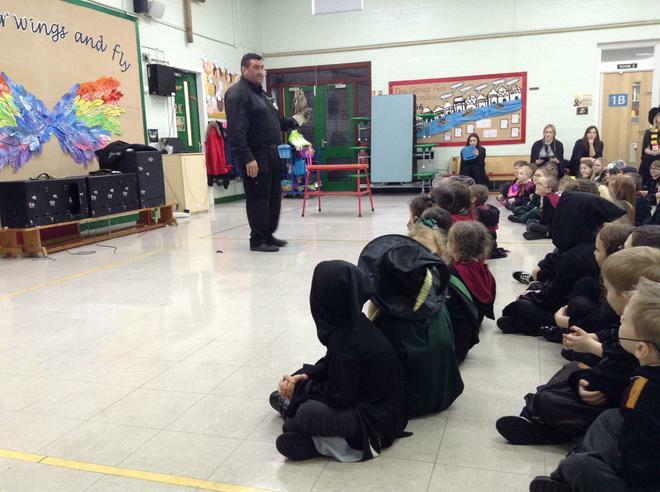 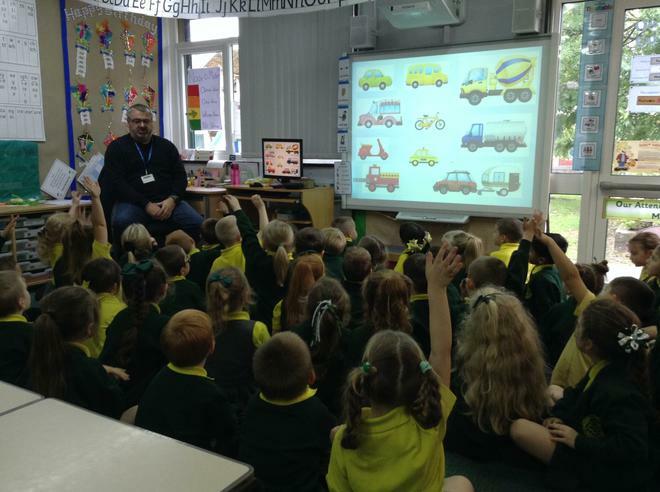 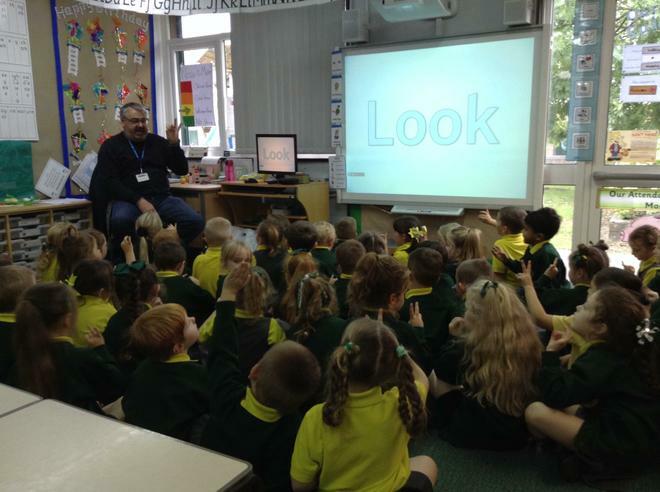 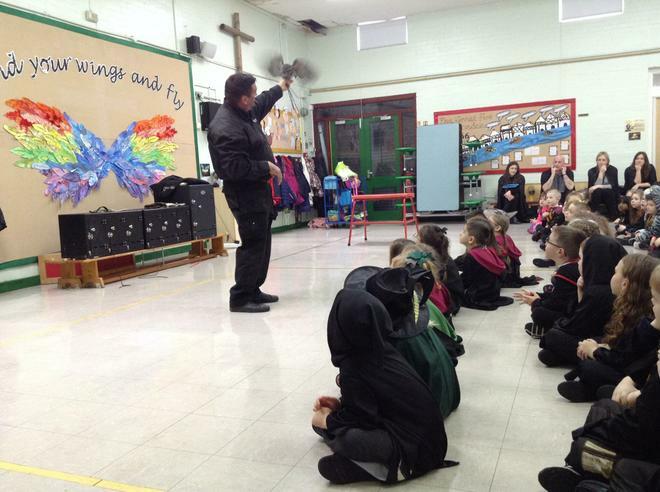 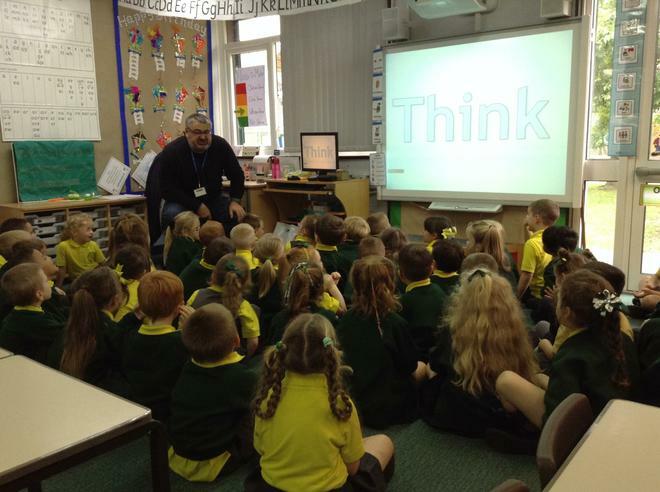 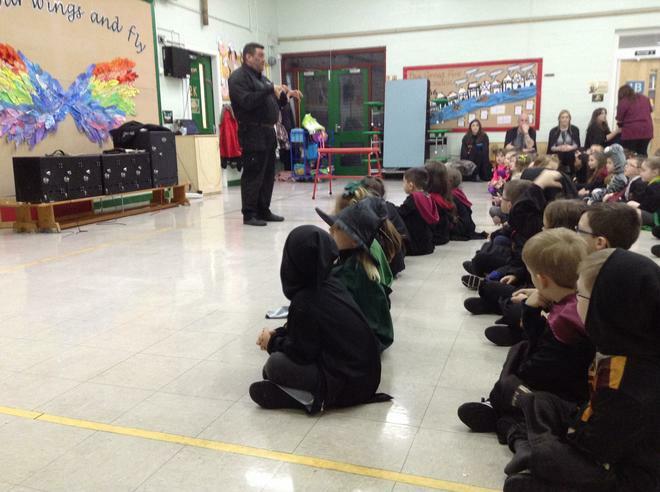 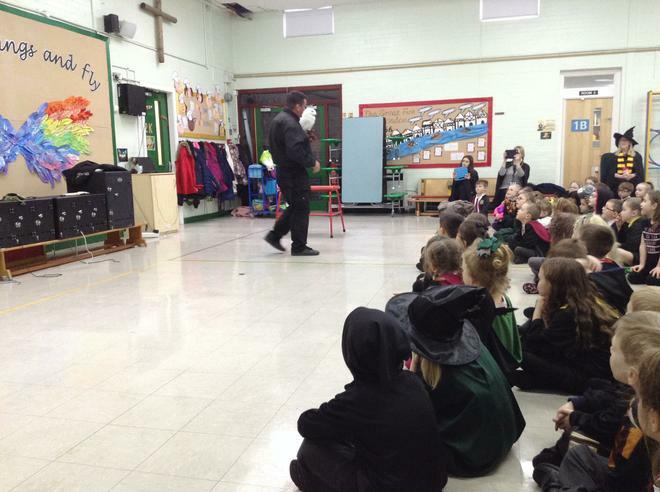 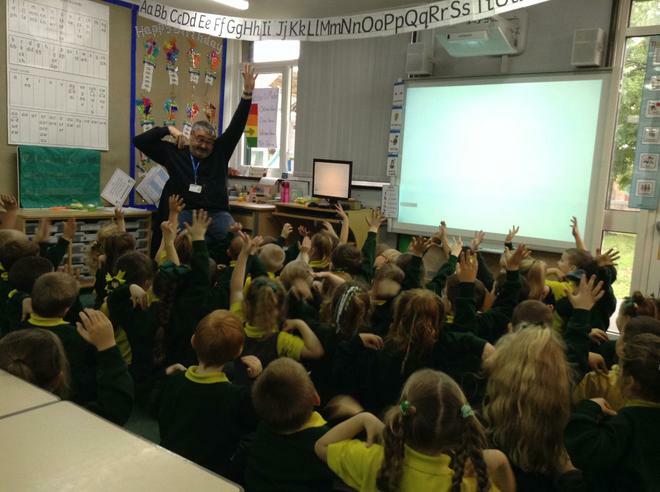 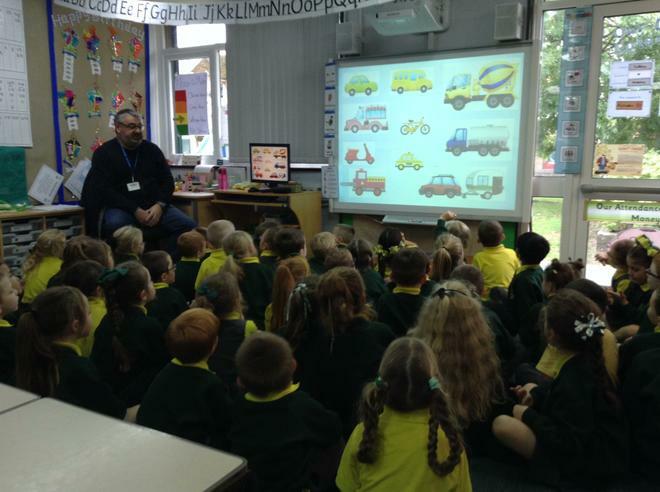 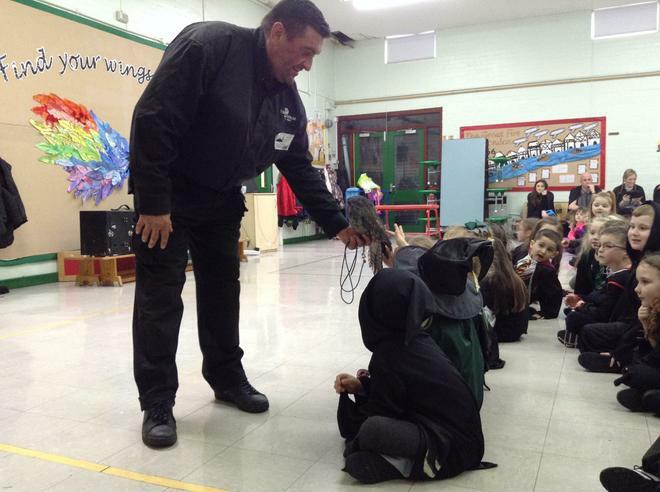 1M had a visit from John today, who came and talked to us about road safety. 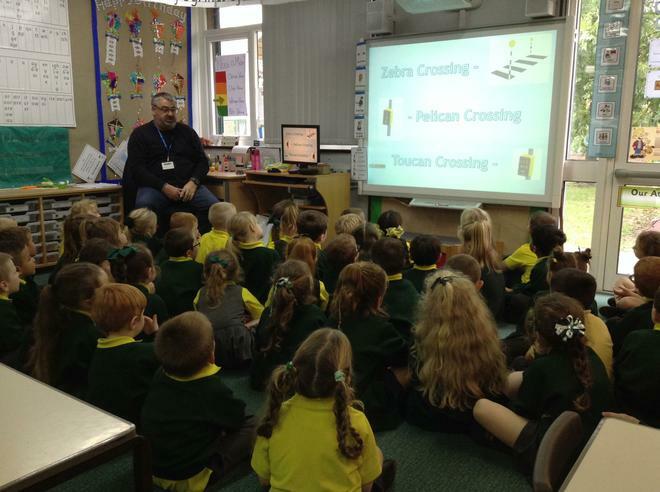 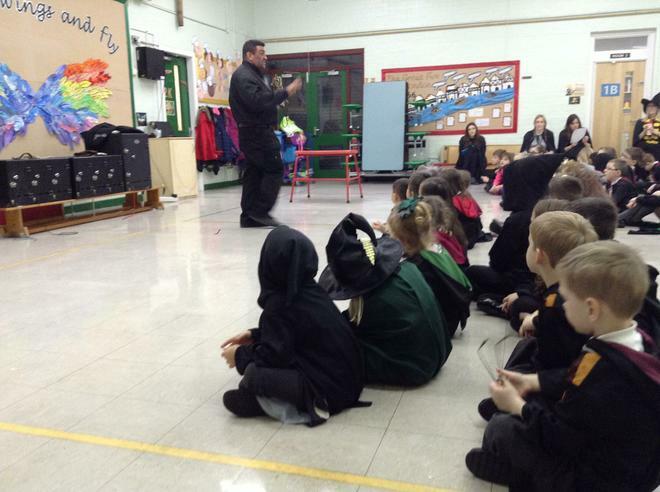 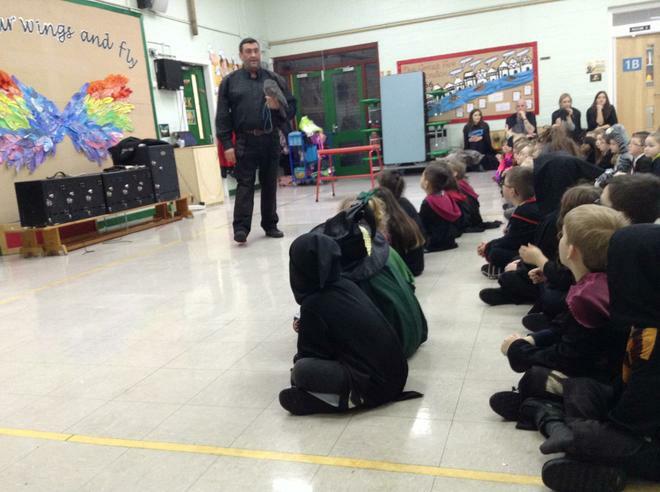 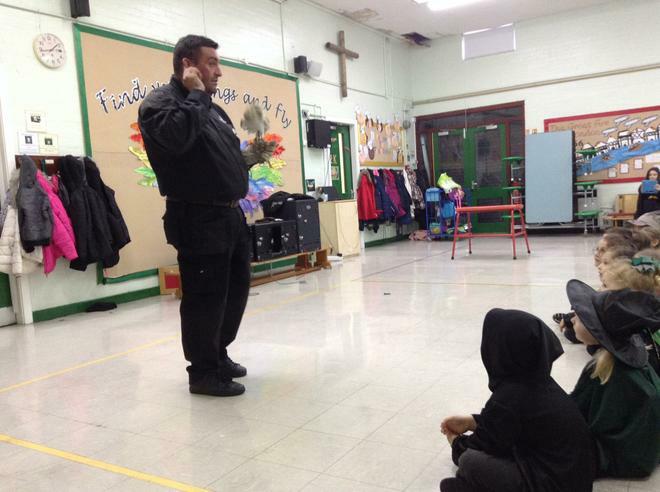 John helped us learn about how we can keep ourselves safe when we are by the roads. 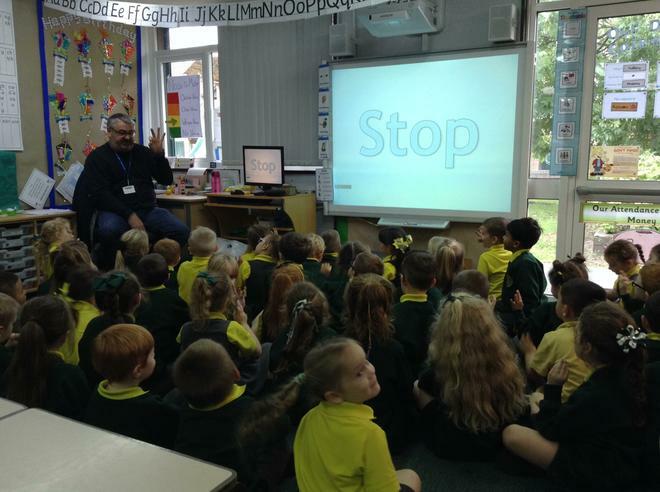 He taught us 4 really important words; STOP, LOOK, LISTEN and THINK! 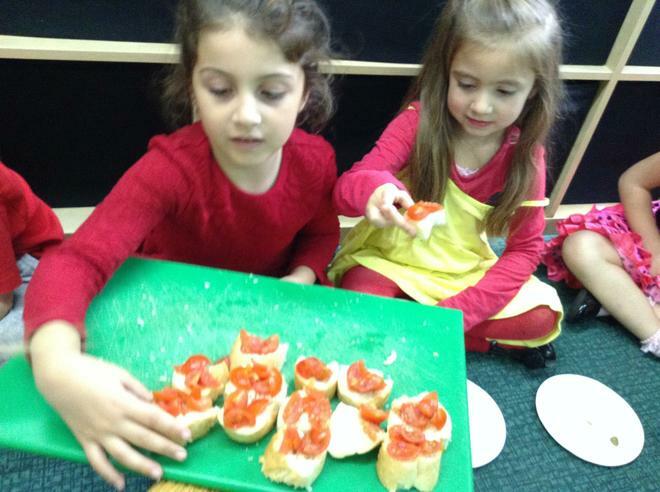 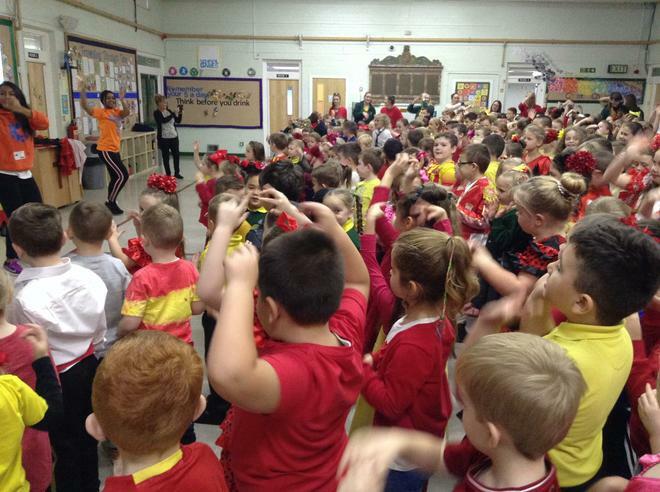 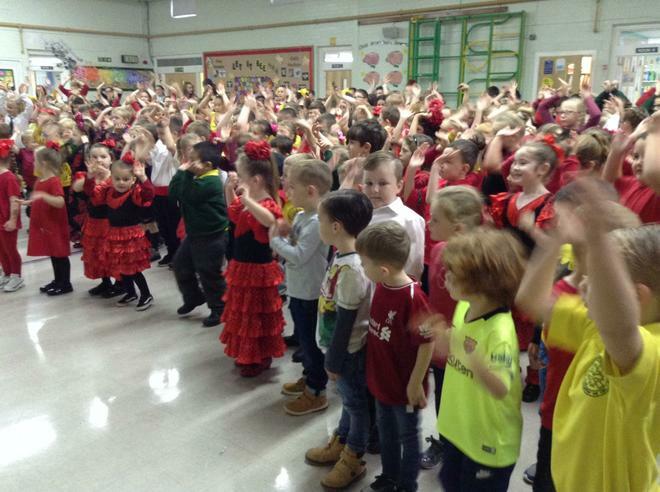 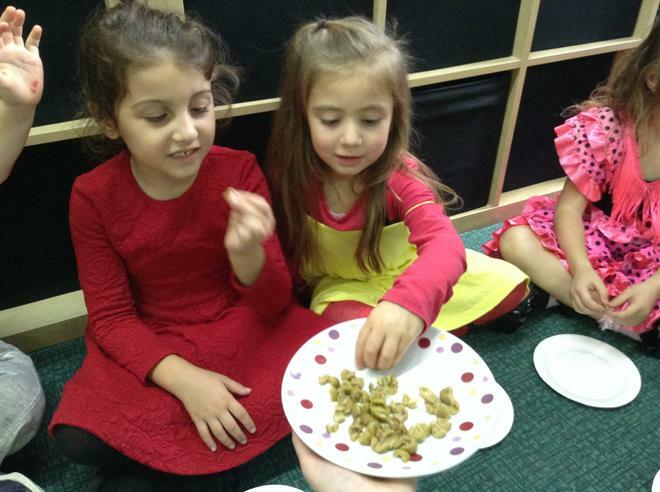 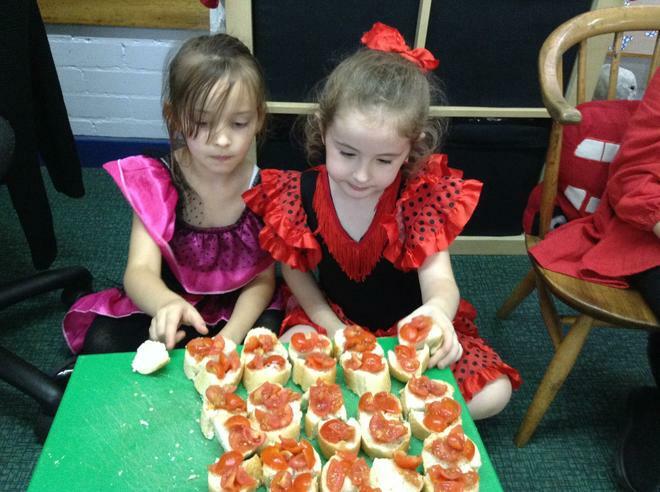 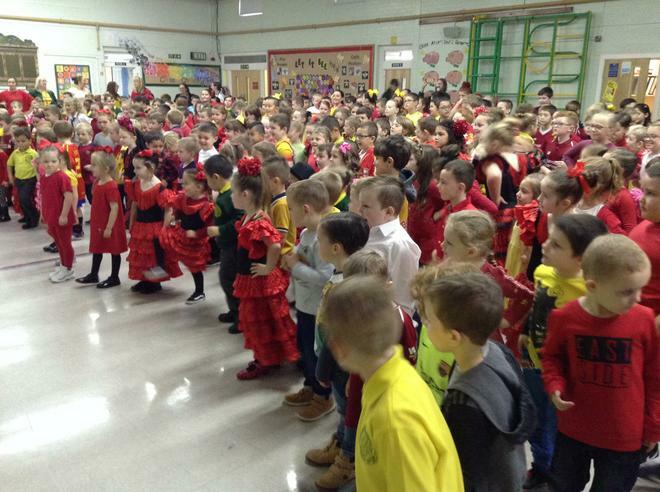 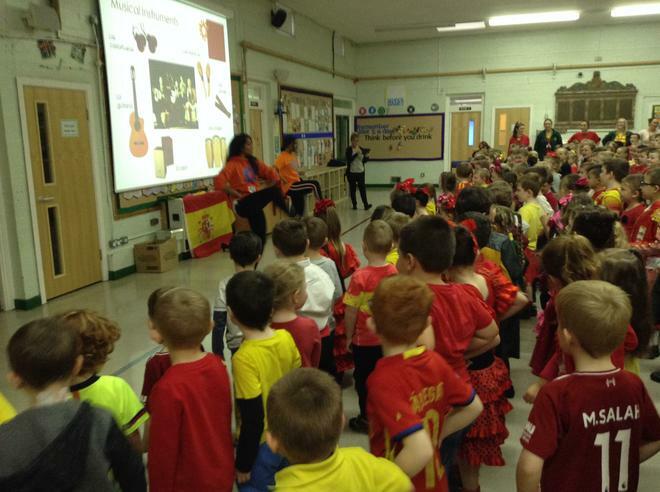 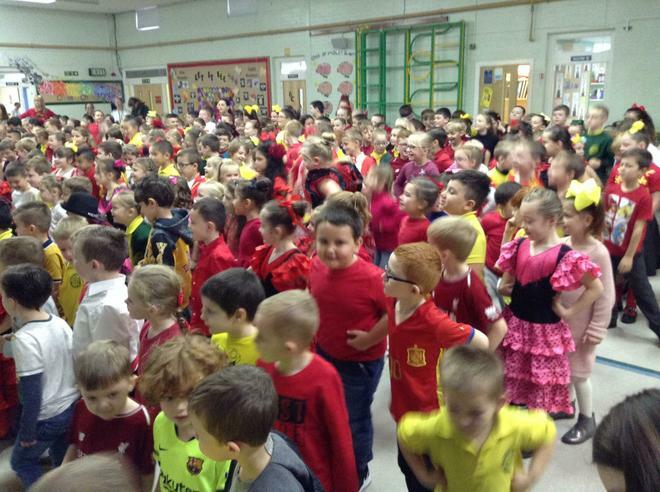 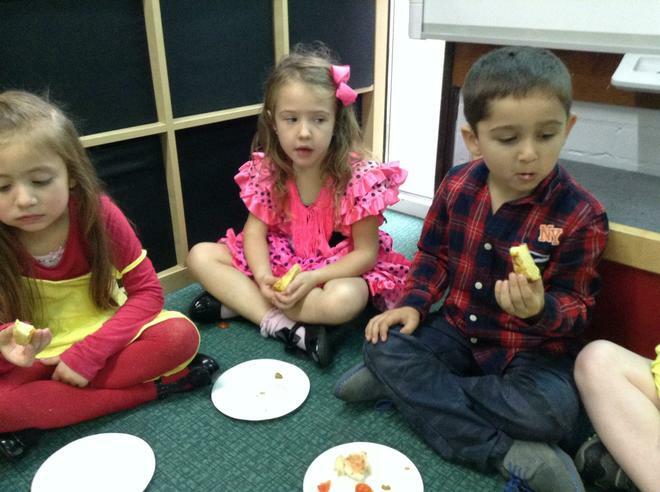 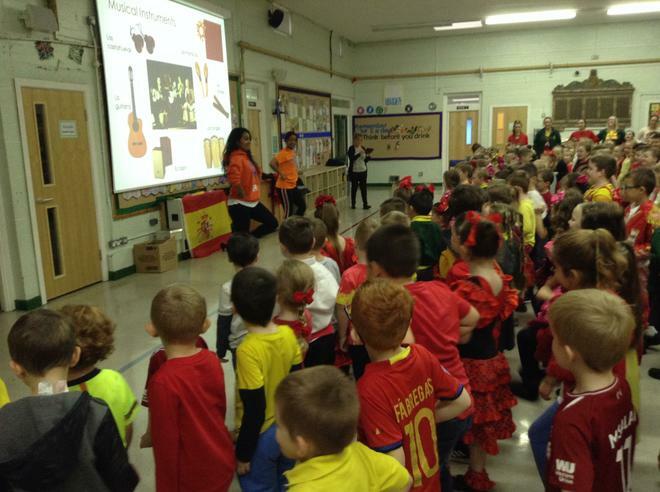 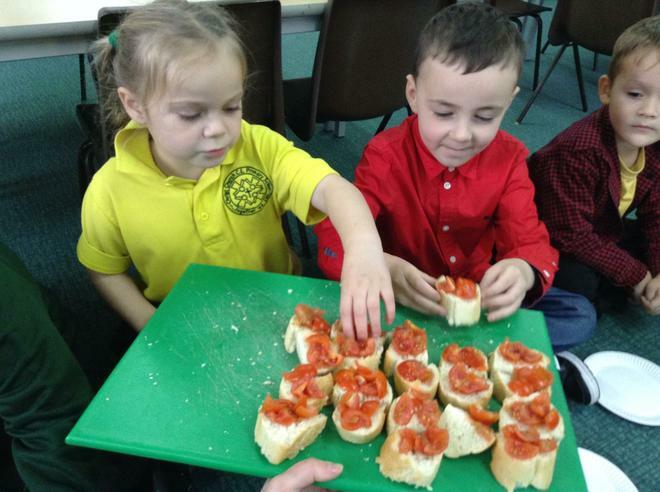 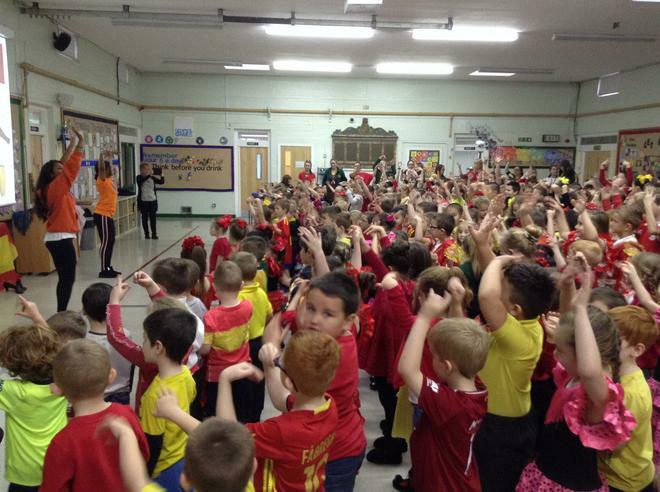 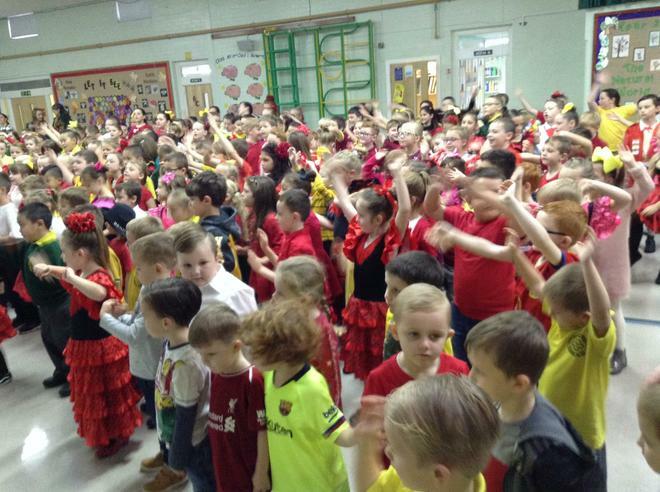 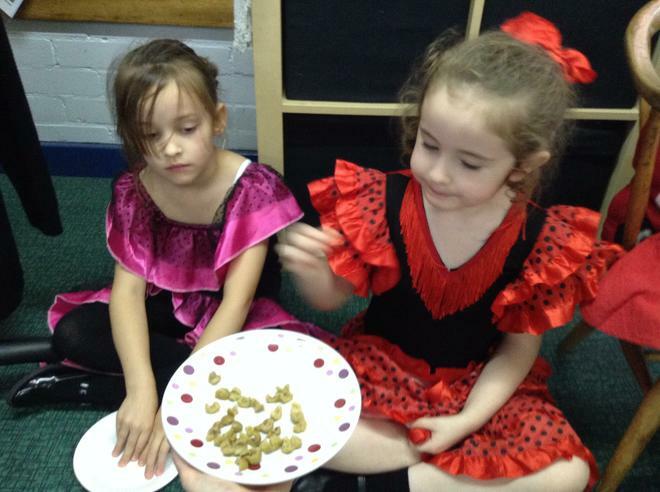 As a school we celebrated Spanish day. 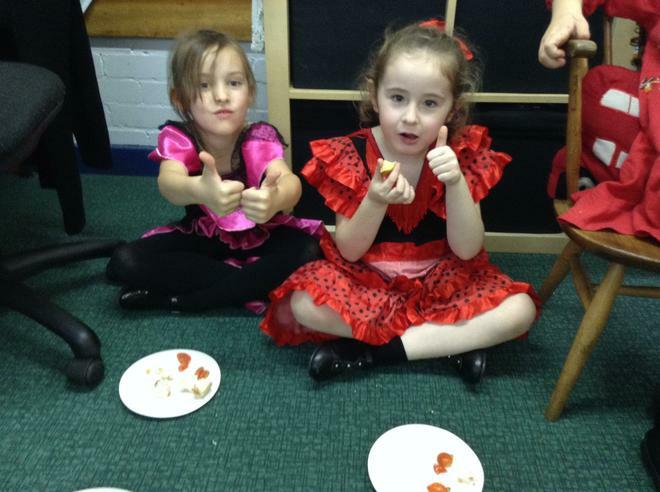 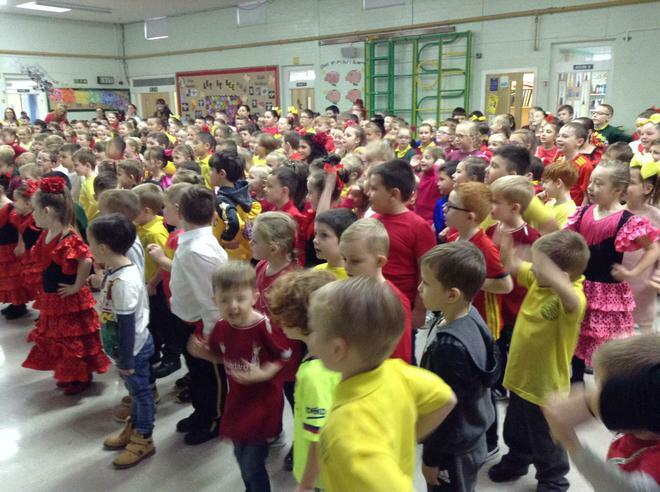 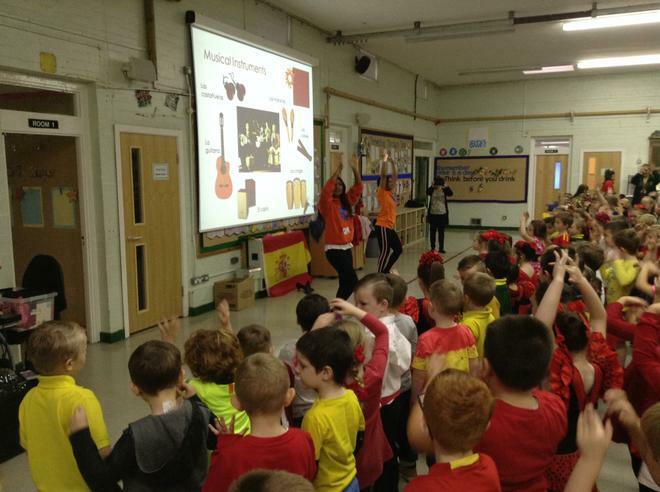 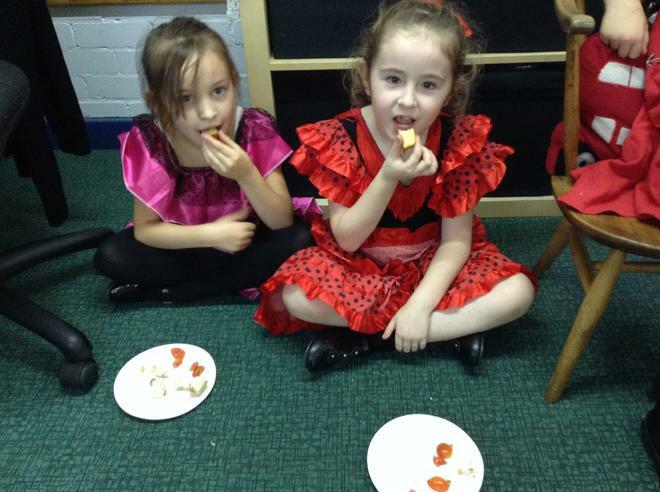 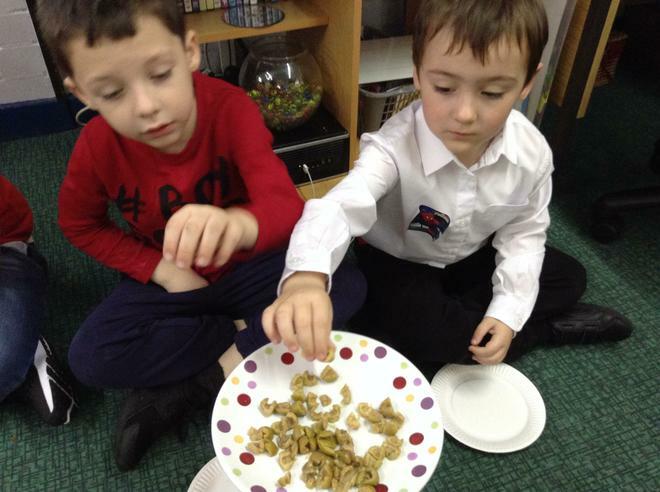 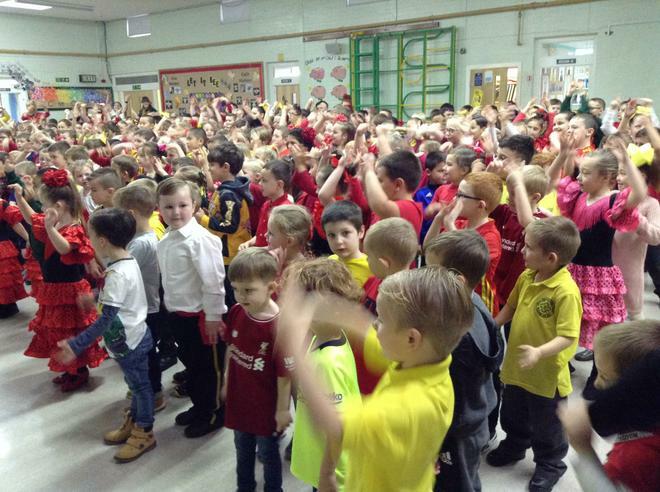 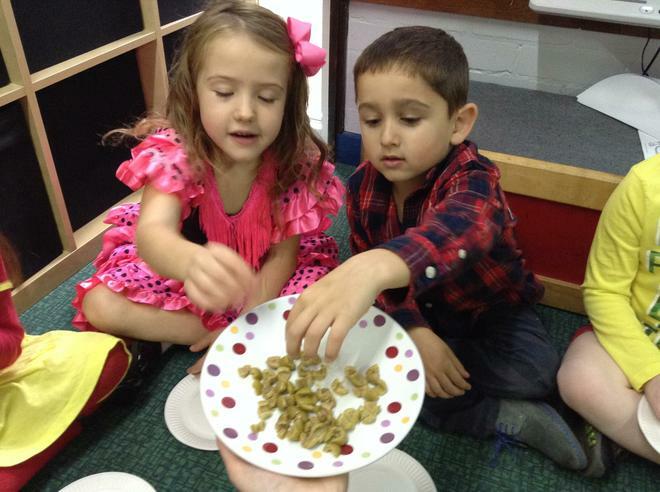 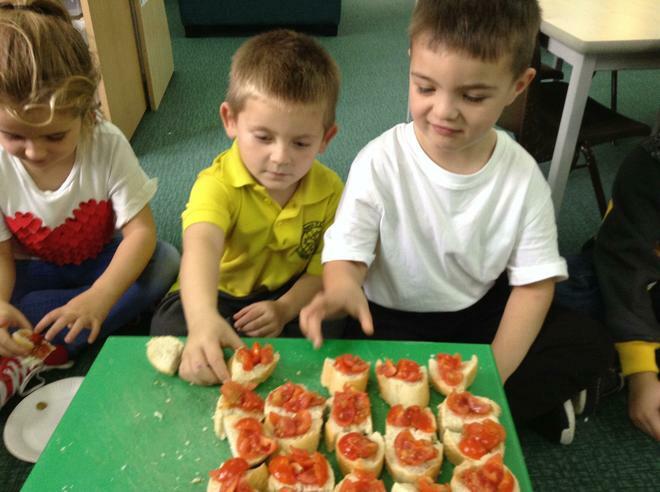 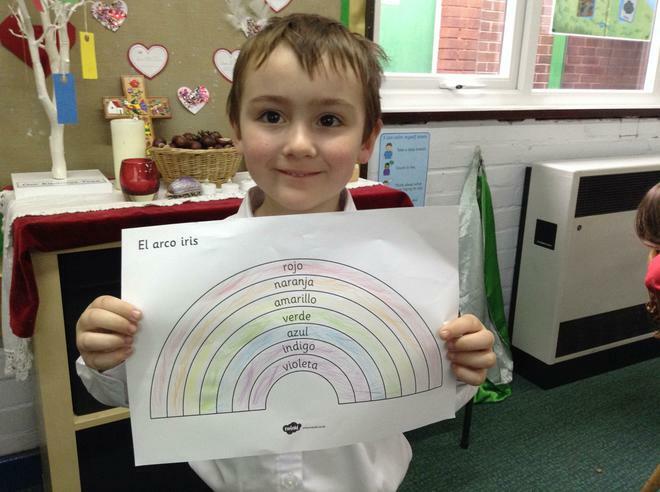 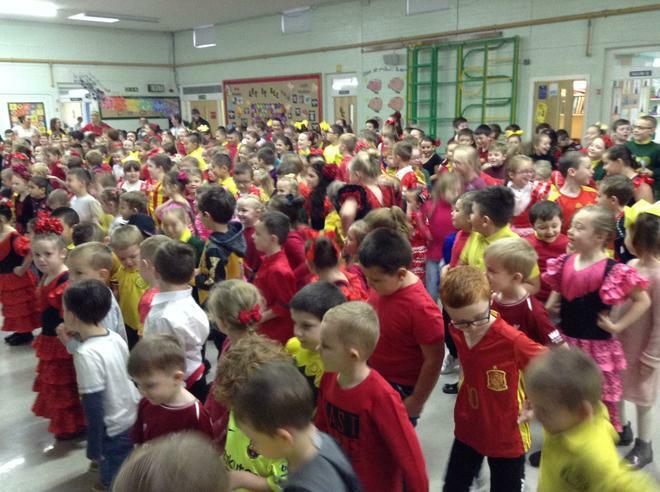 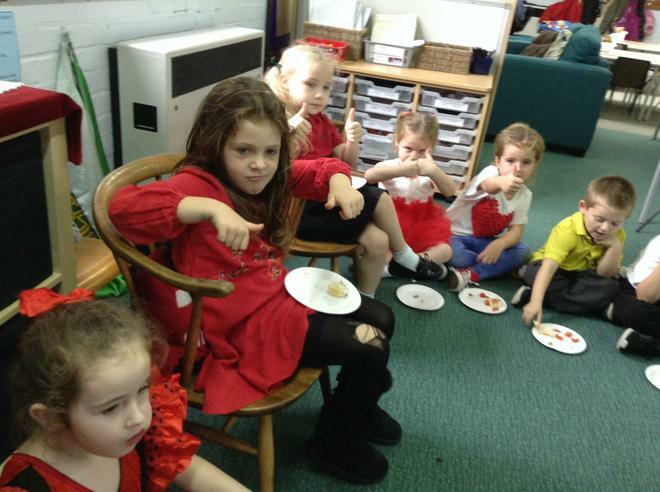 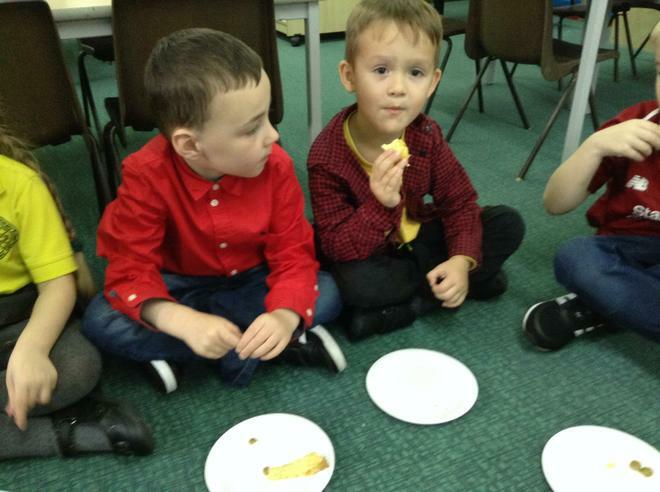 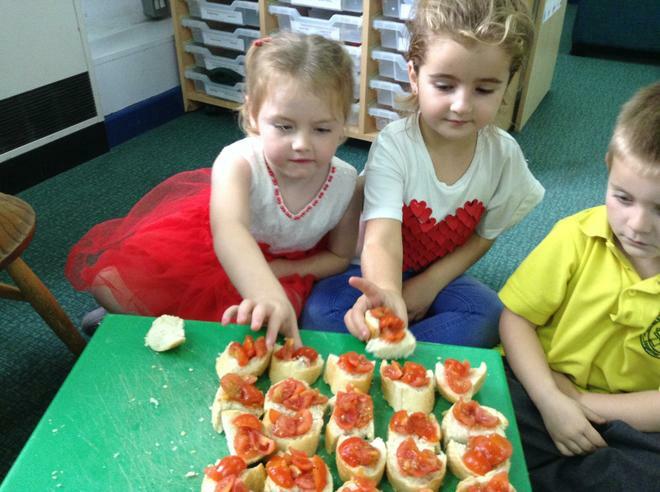 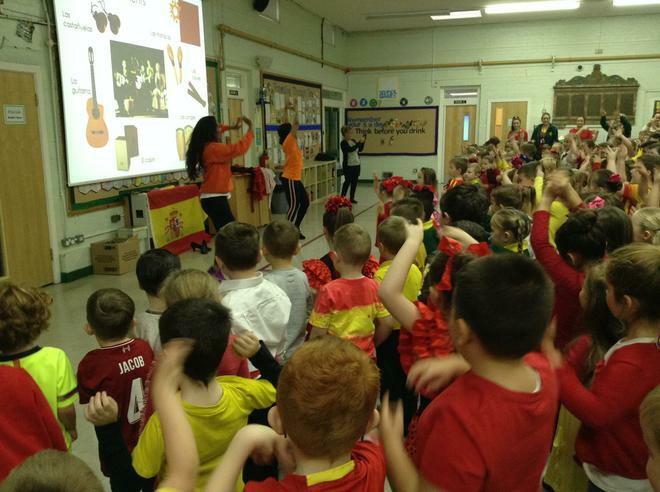 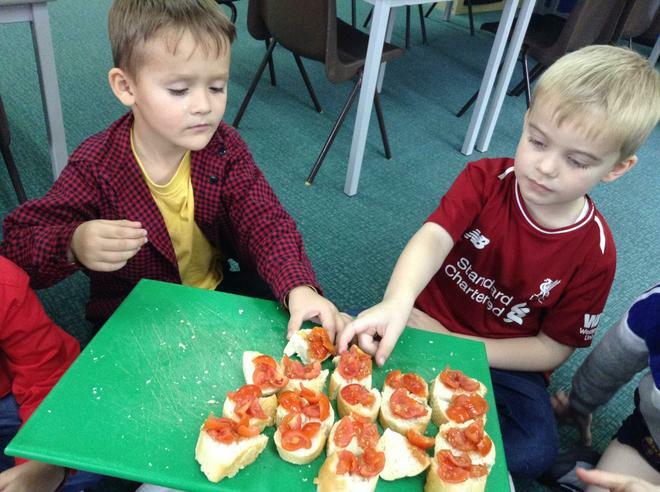 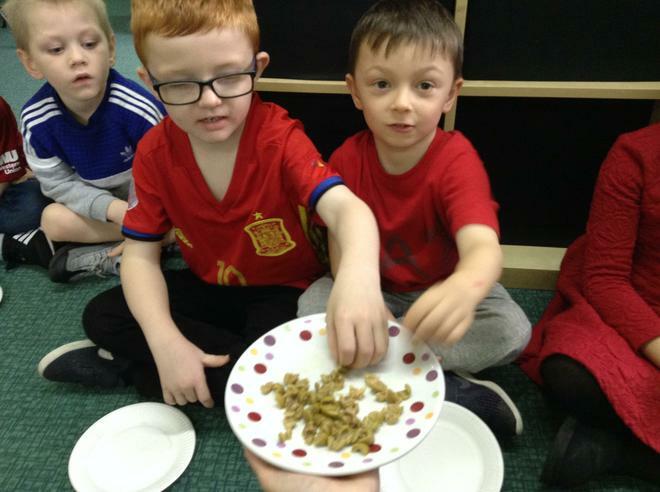 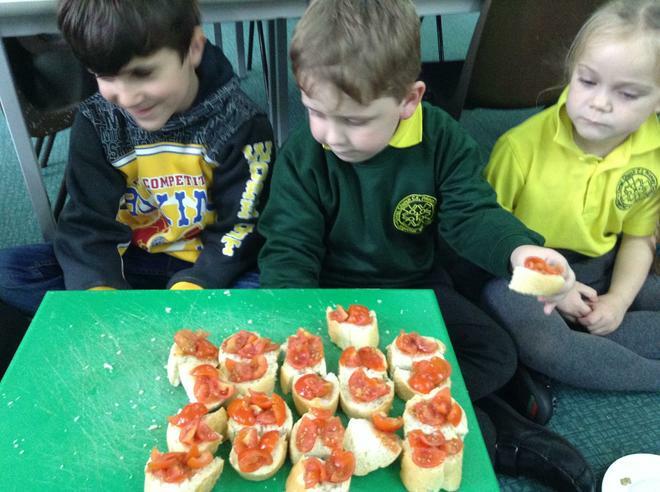 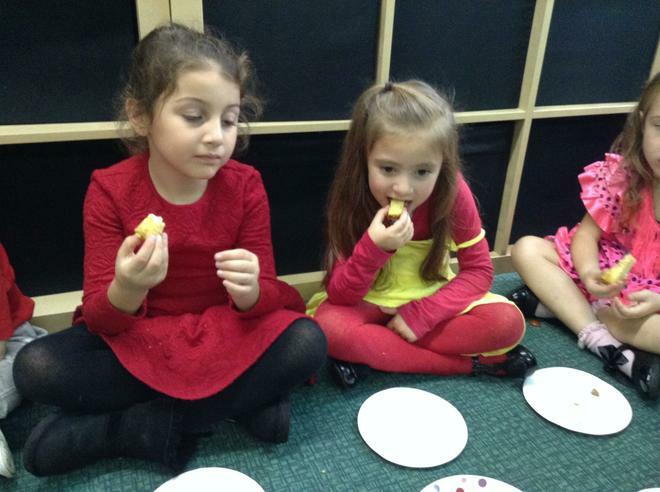 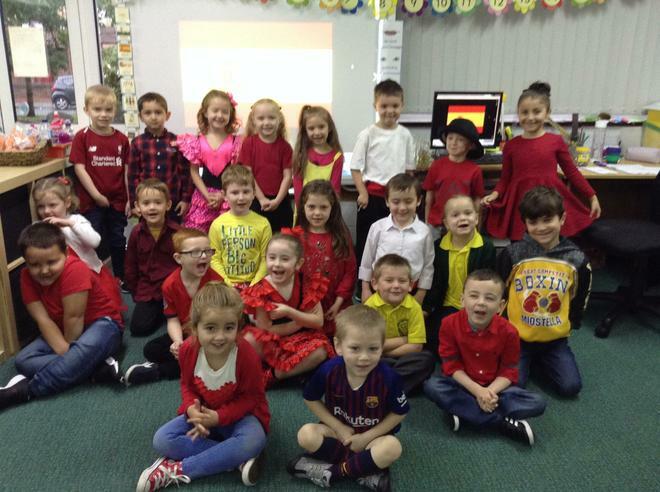 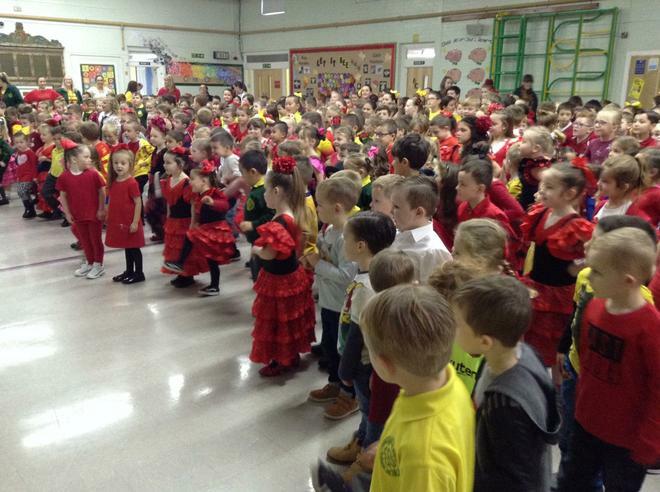 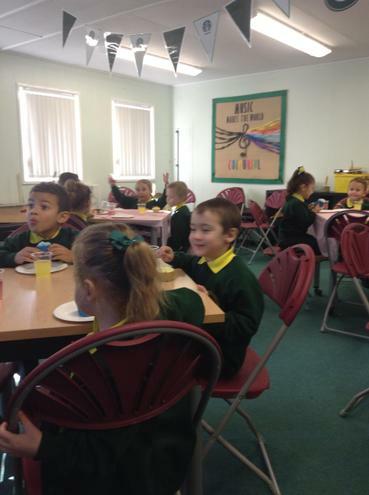 In 1M we celebrated by doing some Spanish dancing, colouring in some Spanish flags, tasting some tasty Spanish food and learning some Spanish words. 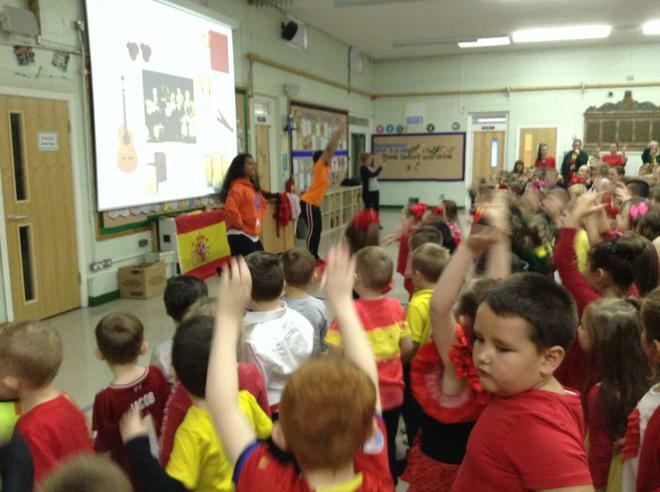 We even learnt the words to 'baby shark' in Spanish. 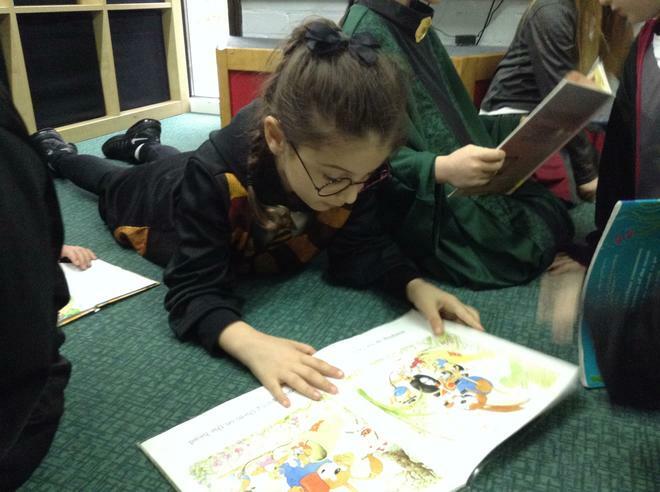 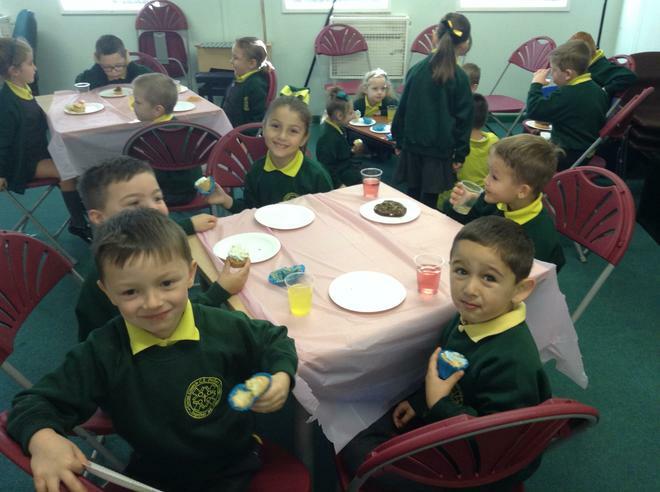 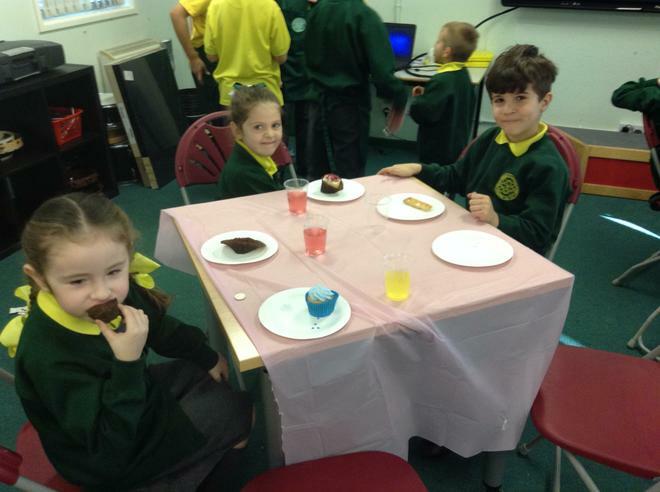 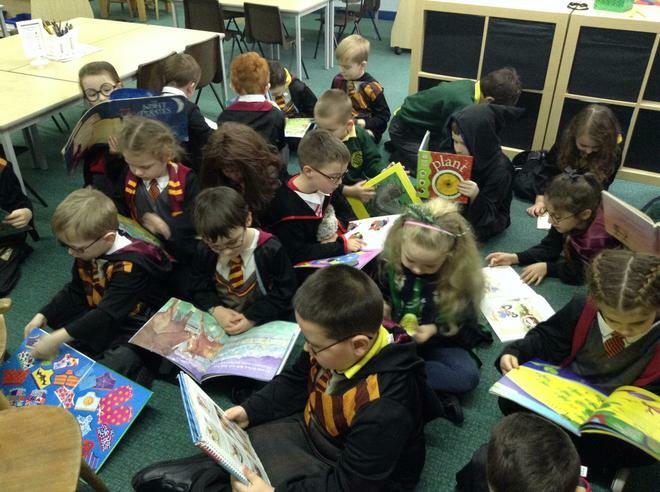 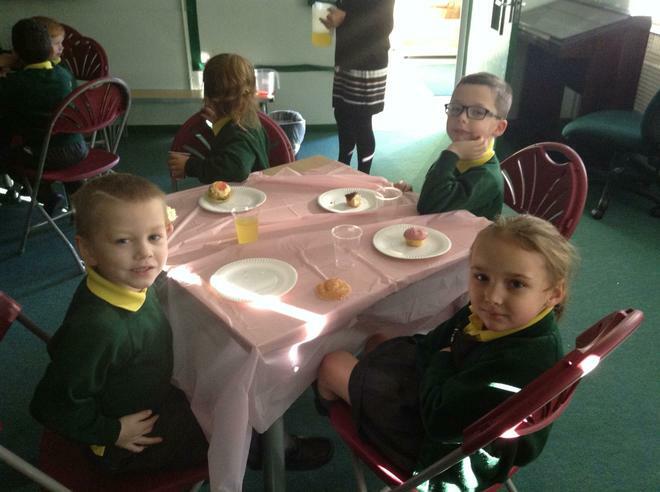 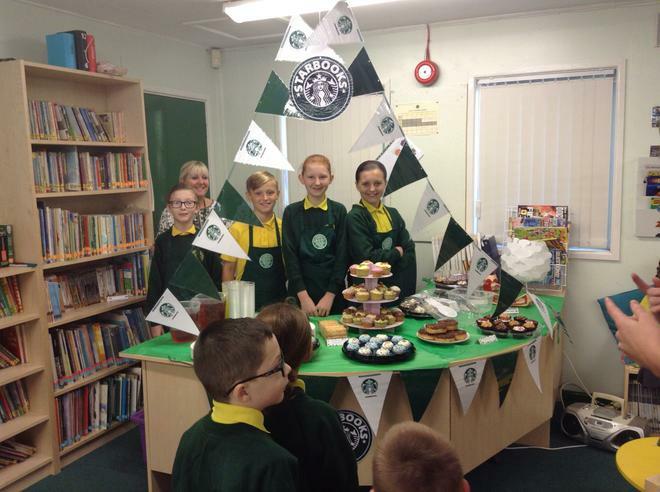 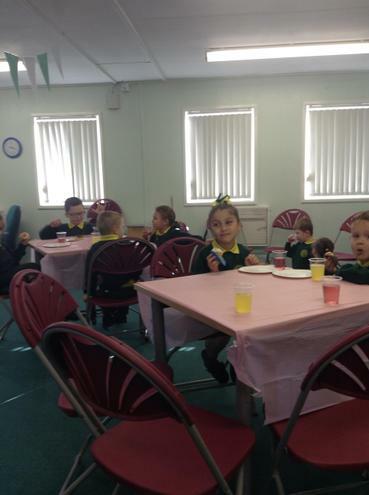 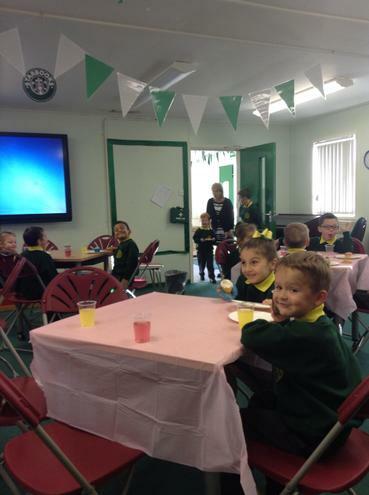 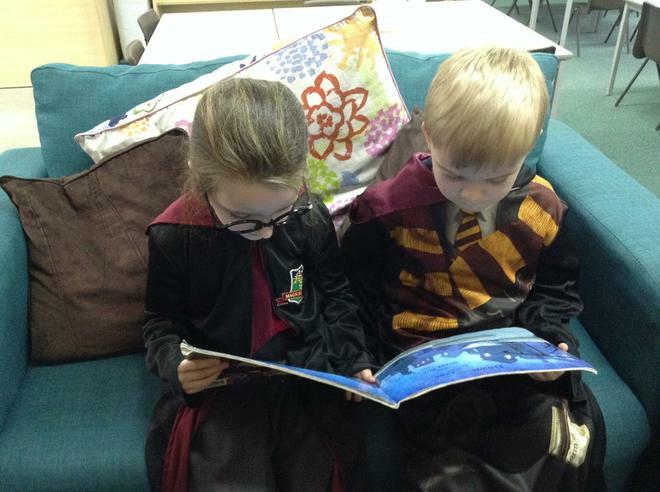 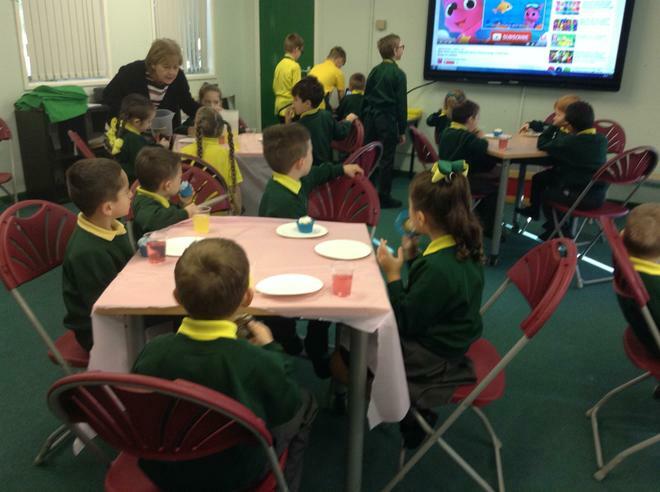 In order to raise money for Macmillan, our class took part in a coffee morning and were lucky enough to visit 'Starbooks cafe' in our school library. 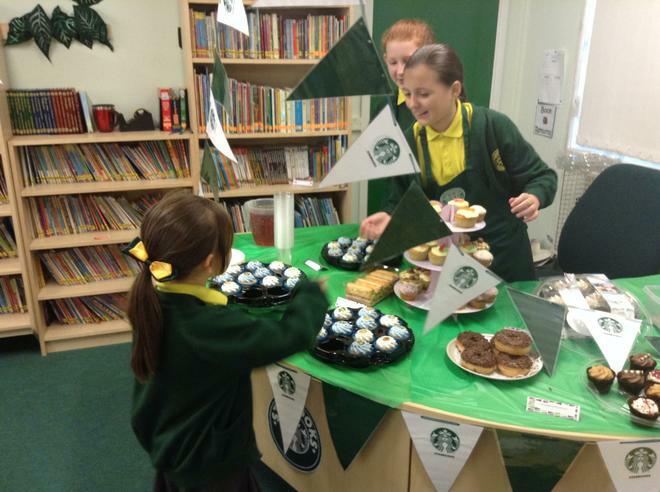 We each took a 50p donation to the cafe and were able to enjoy a cake, a drink and a sing song with our very own Year 6 baristas.